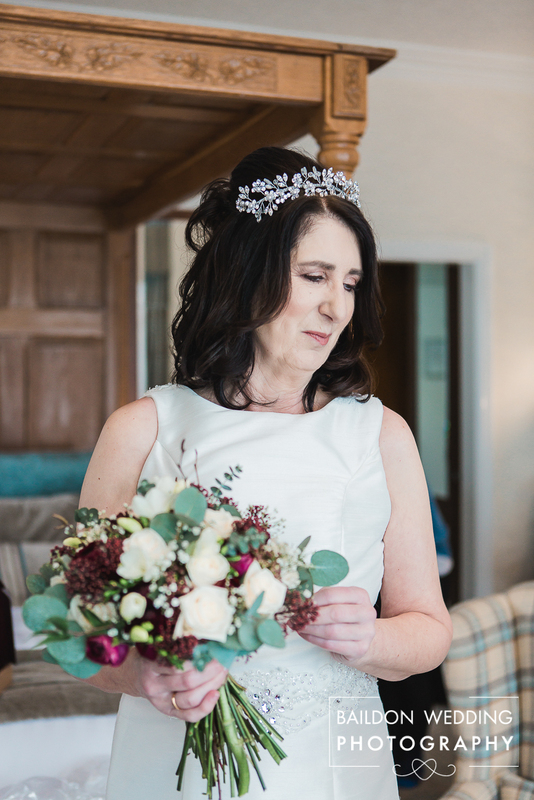 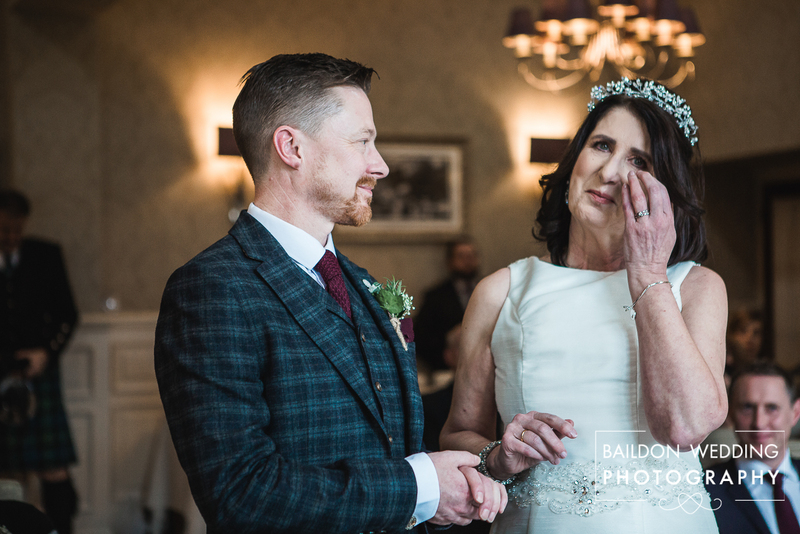 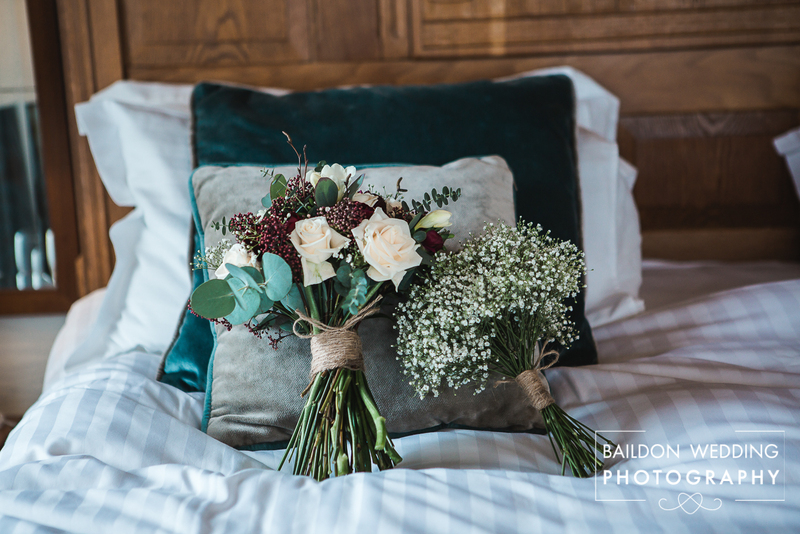 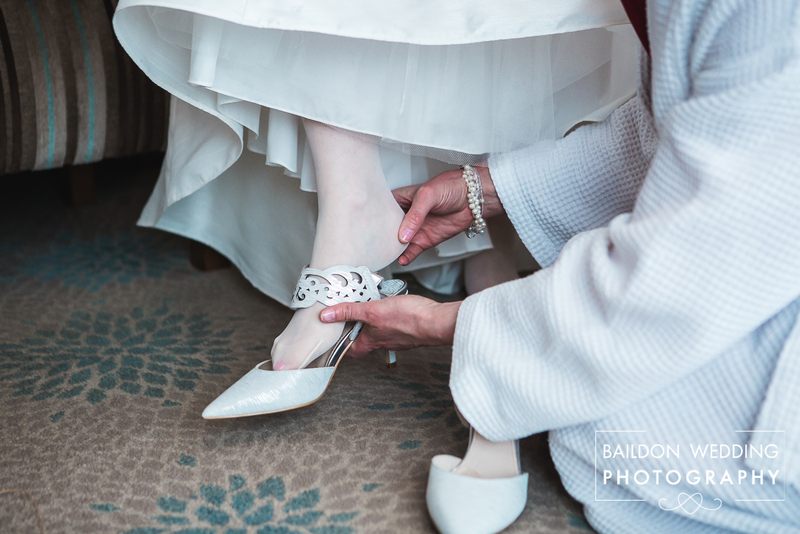 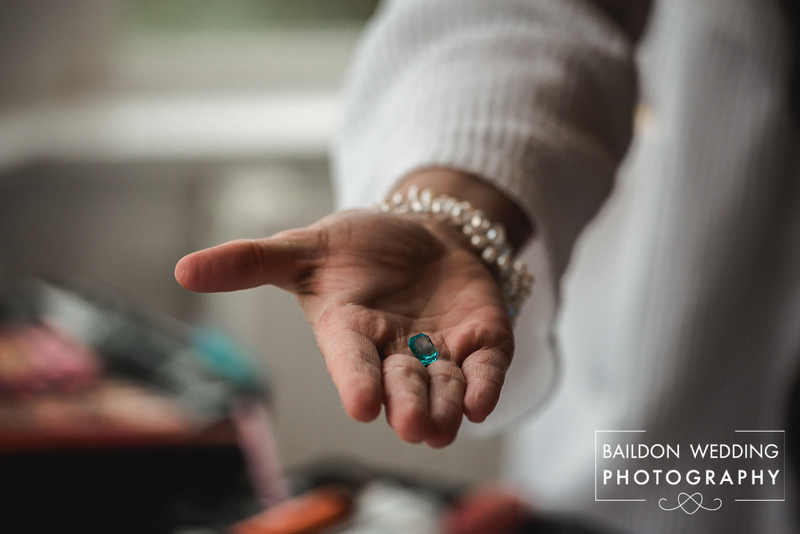 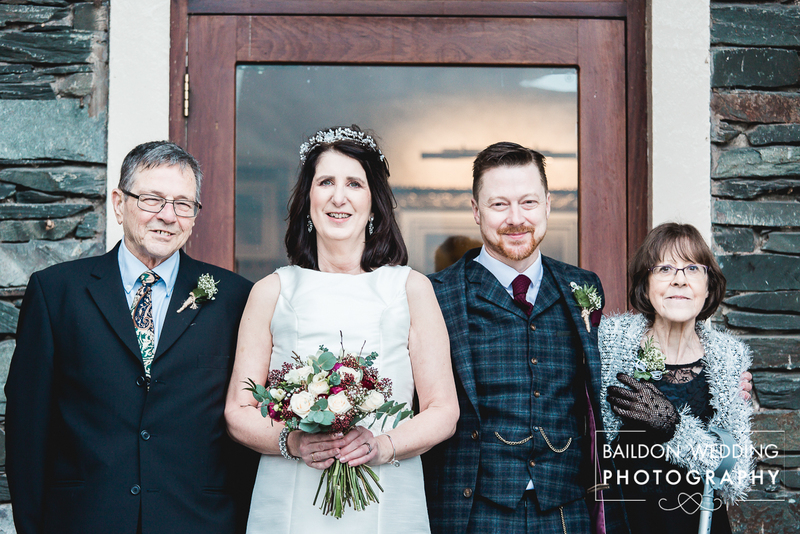 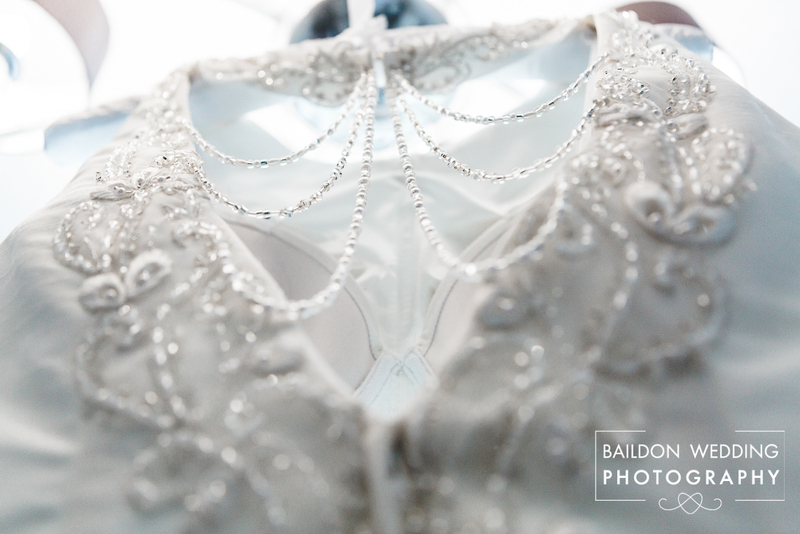 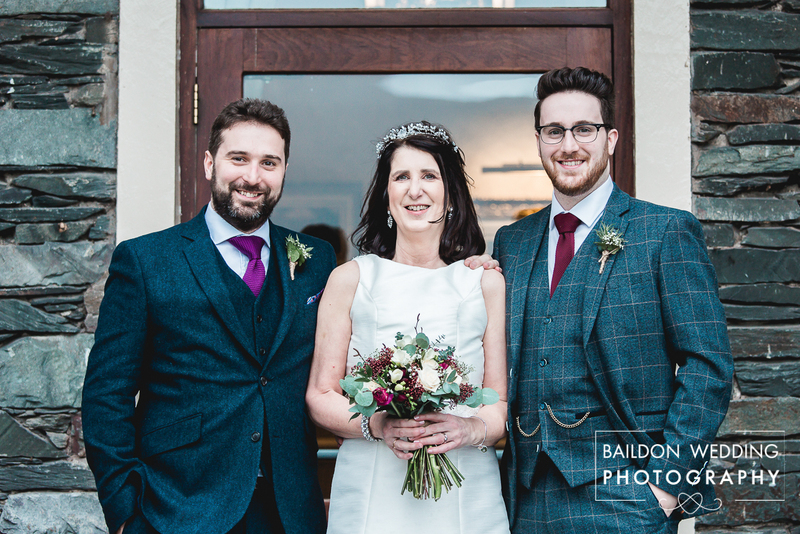 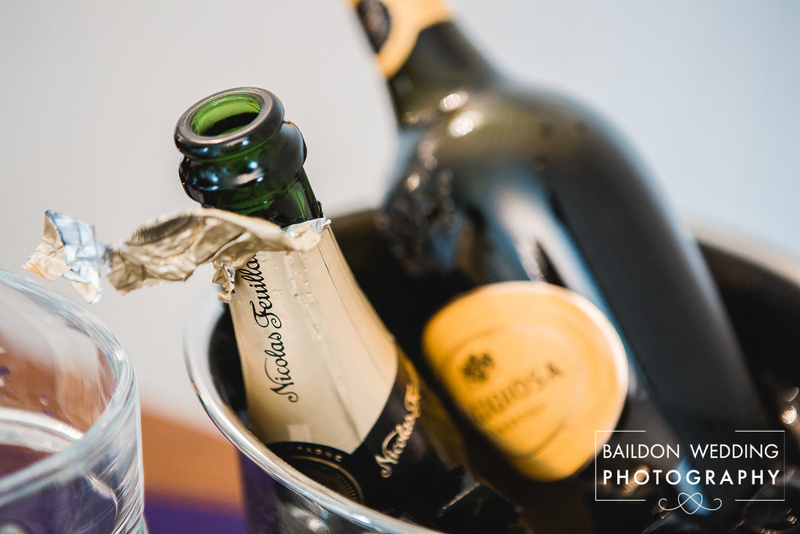 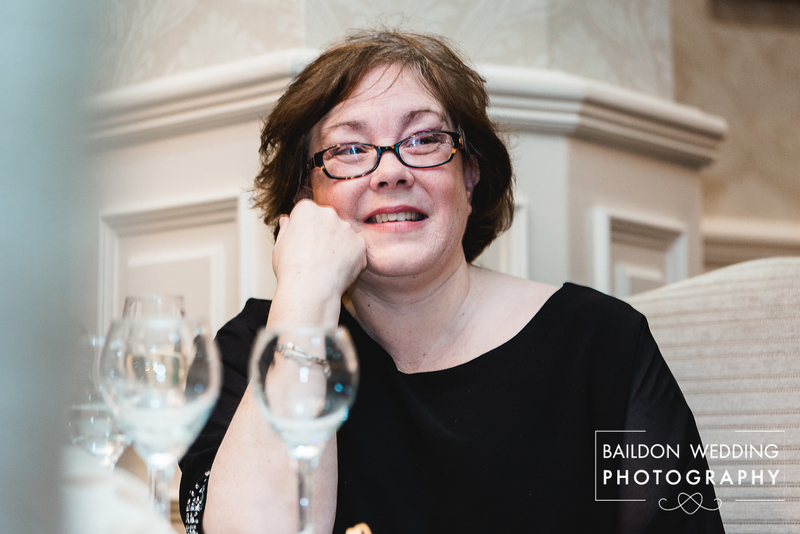 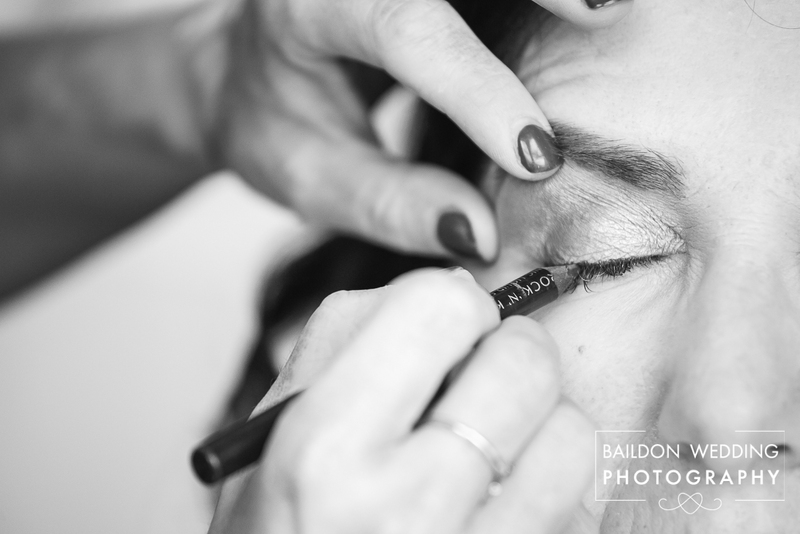 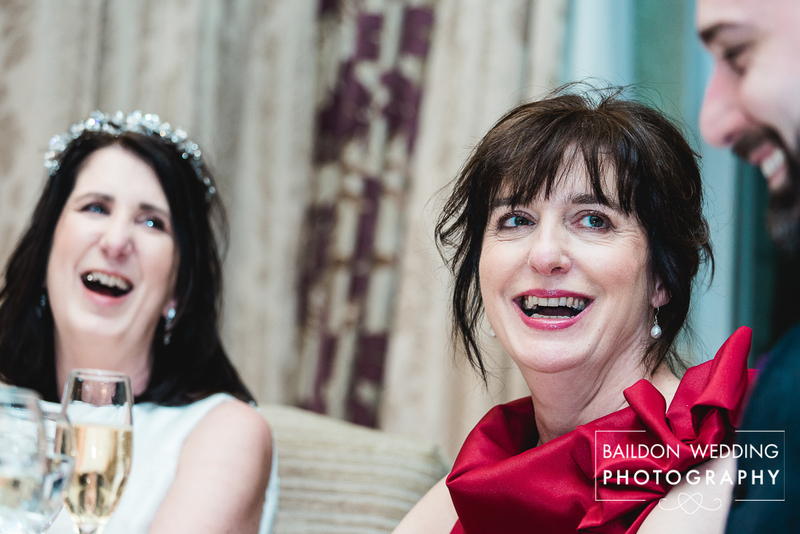 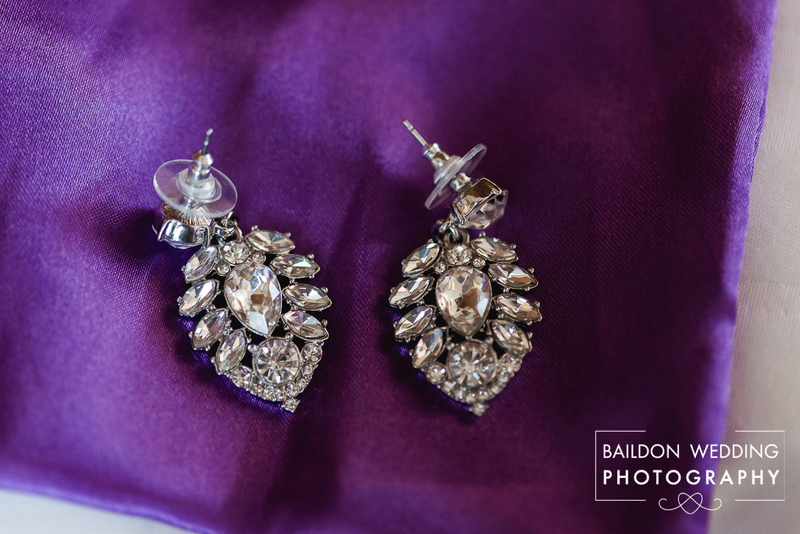 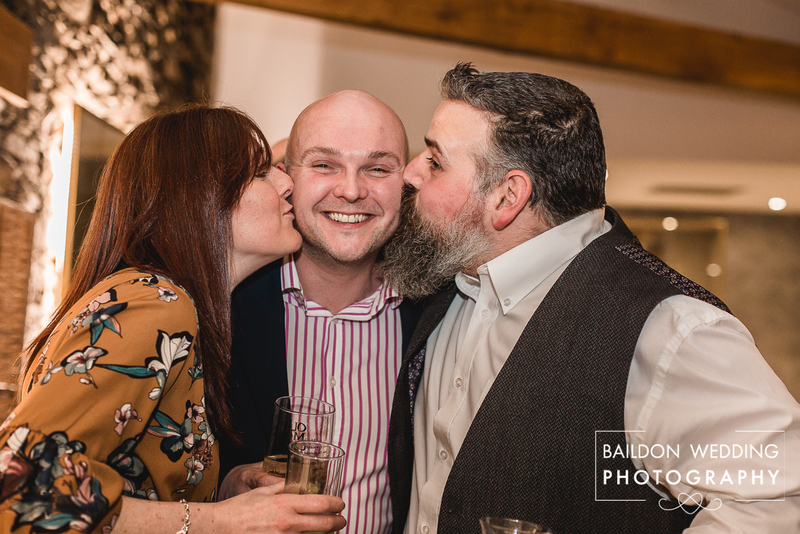 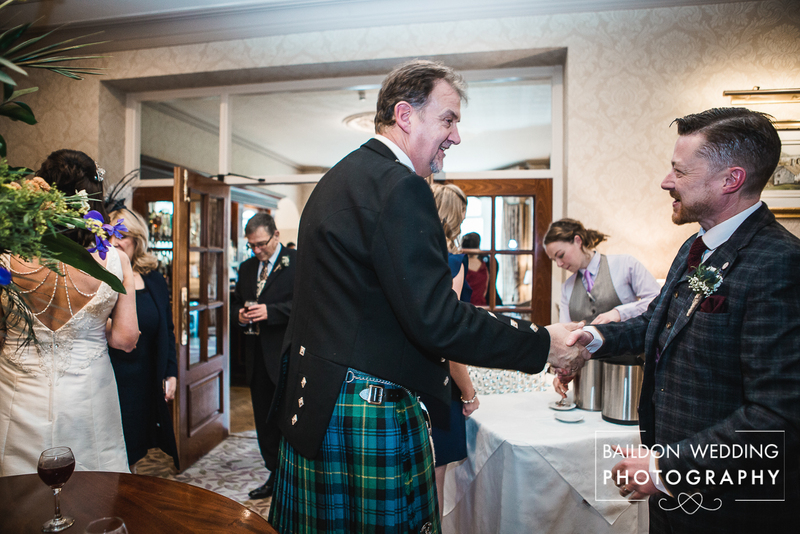 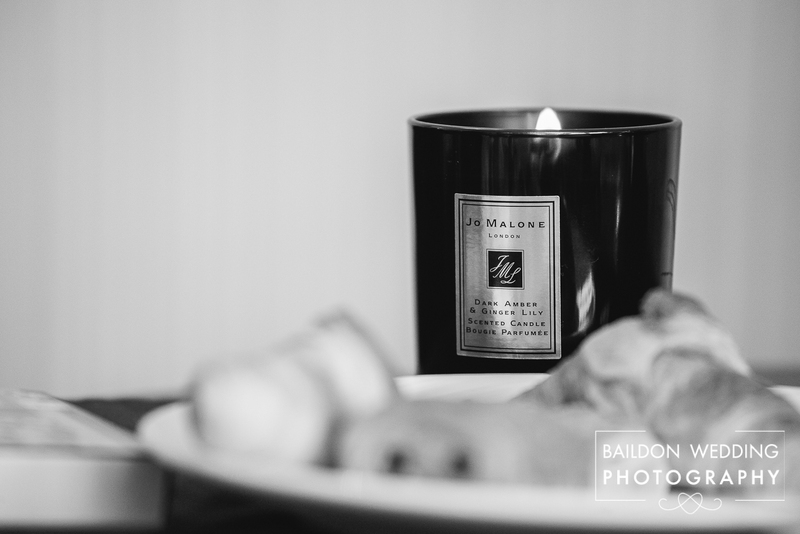 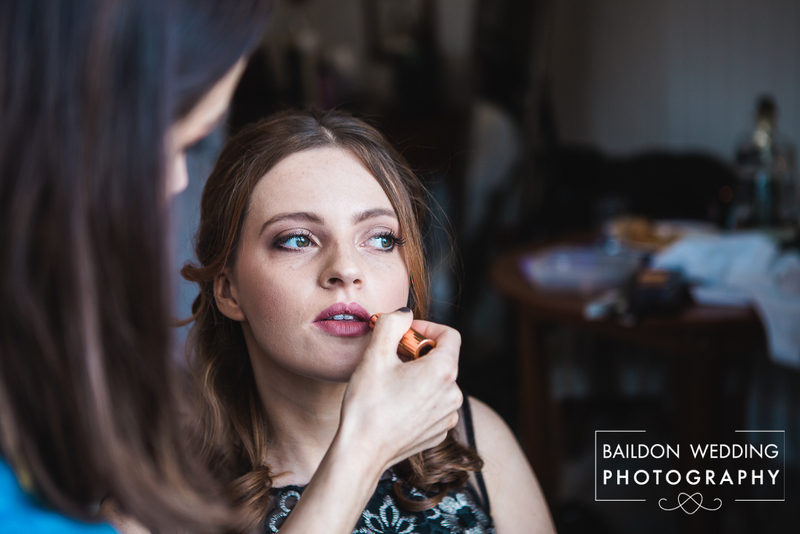 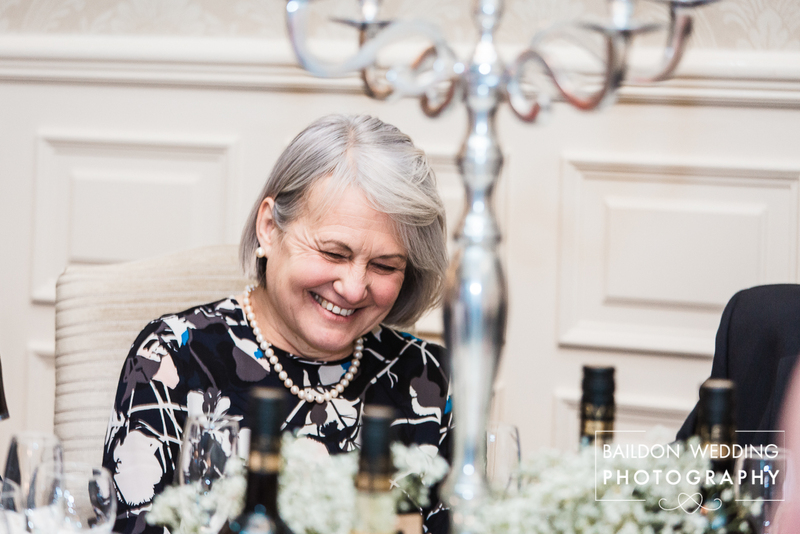 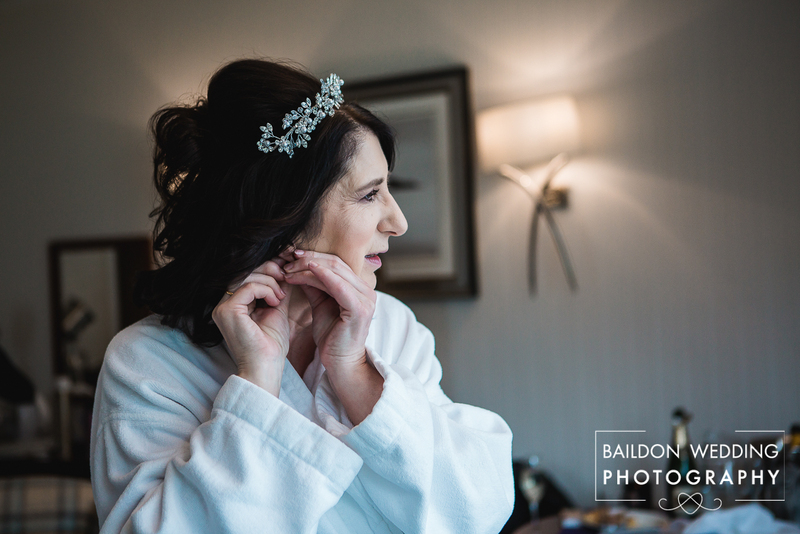 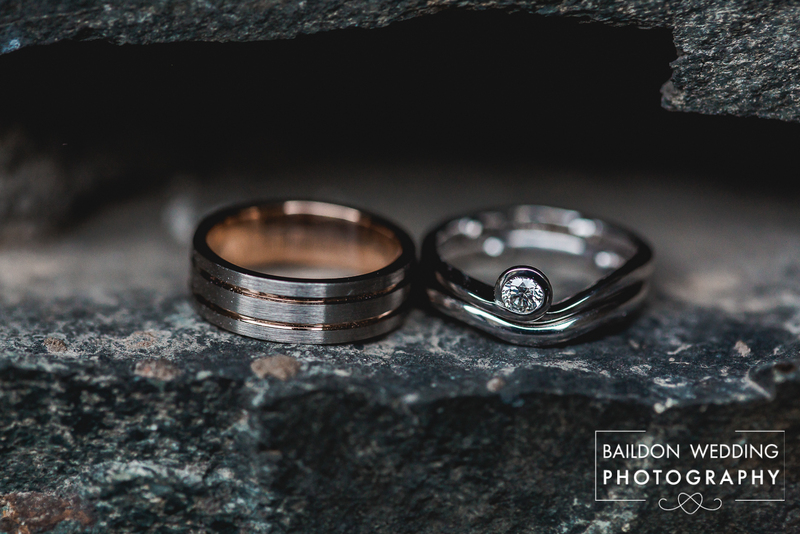 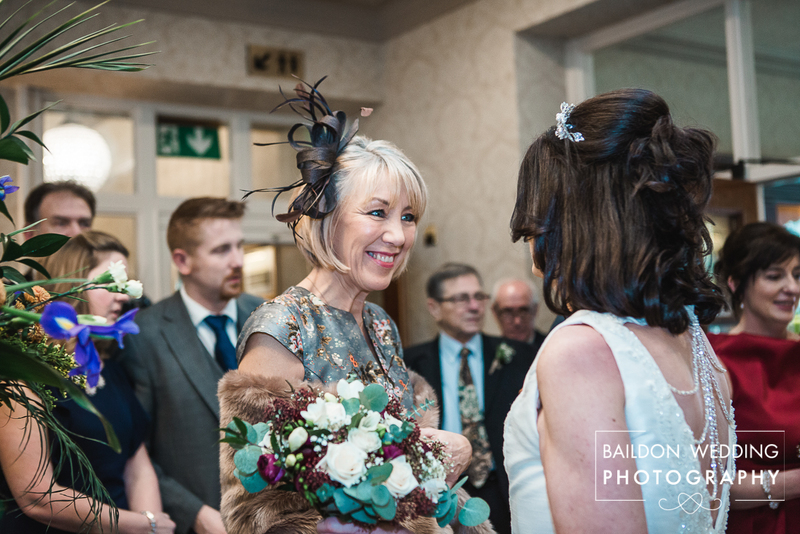 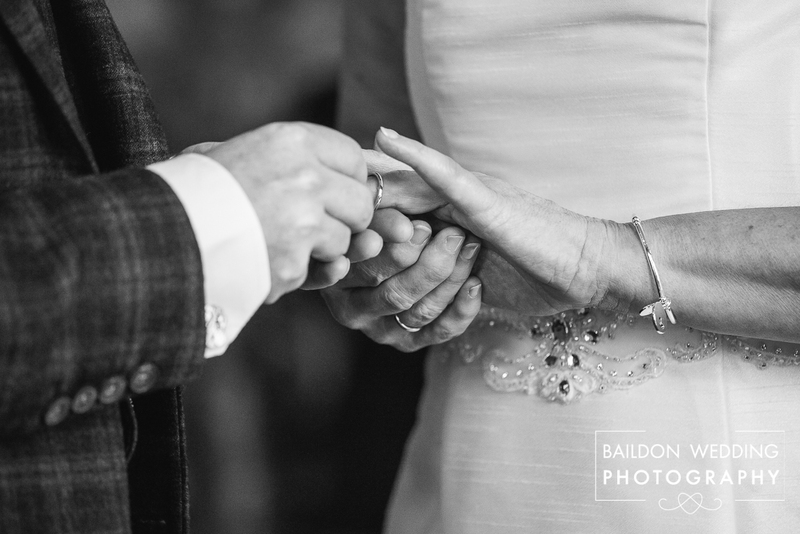 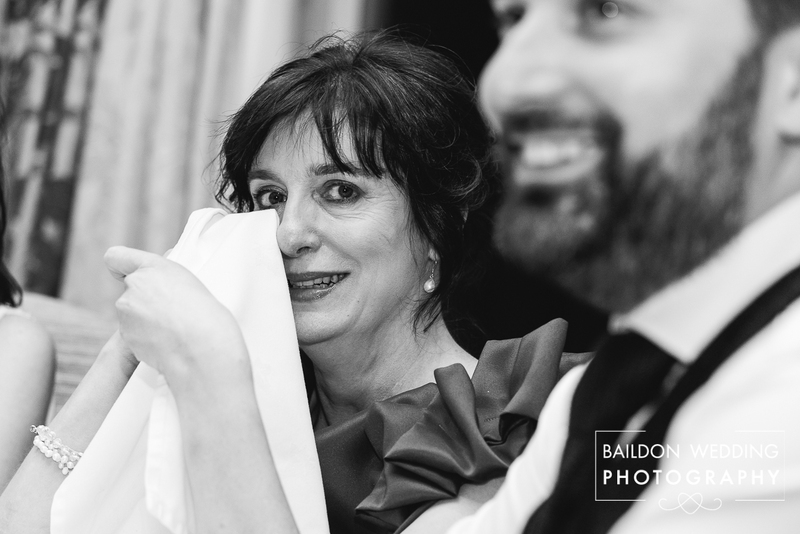 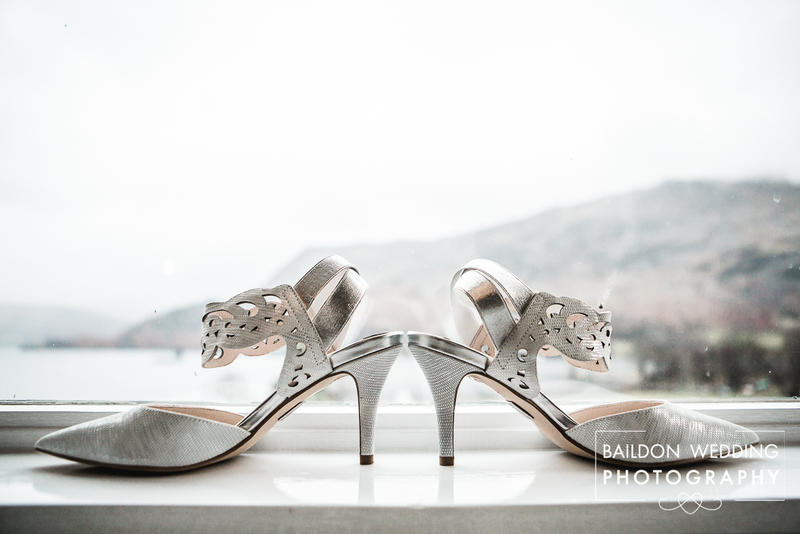 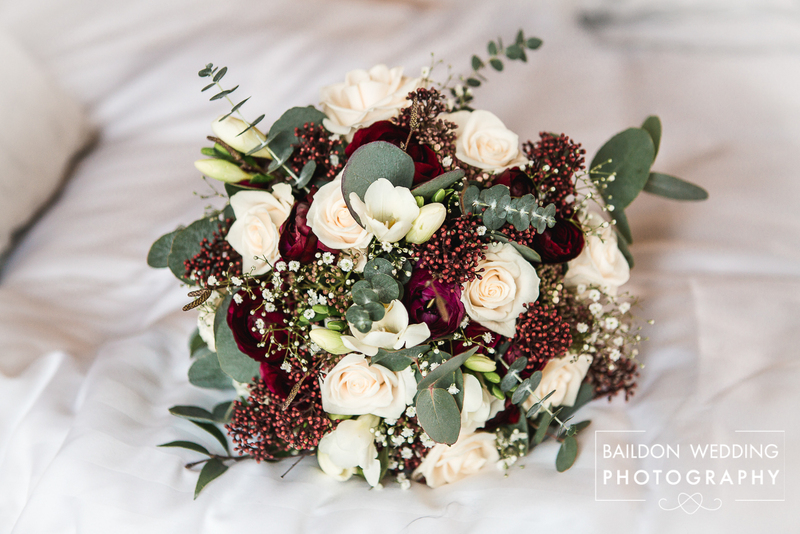 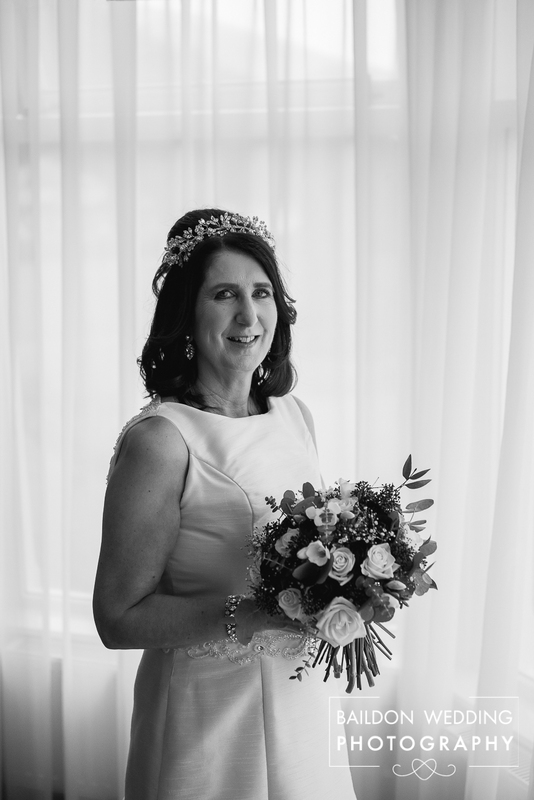 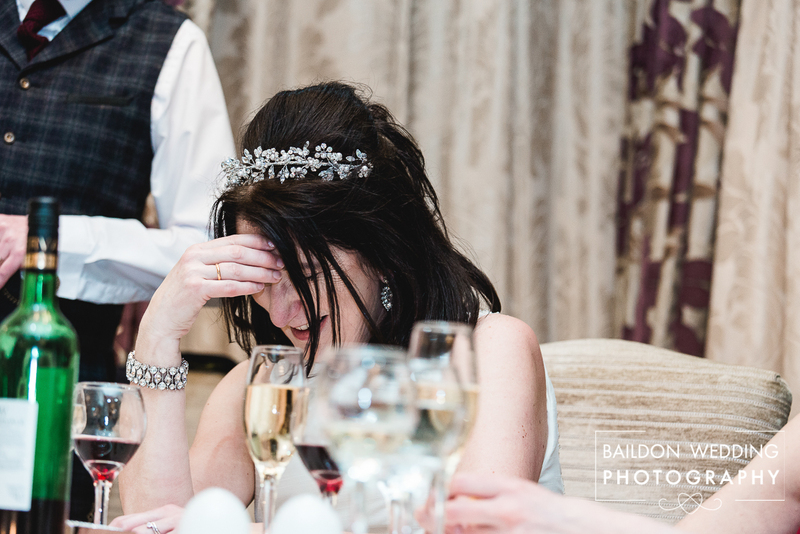 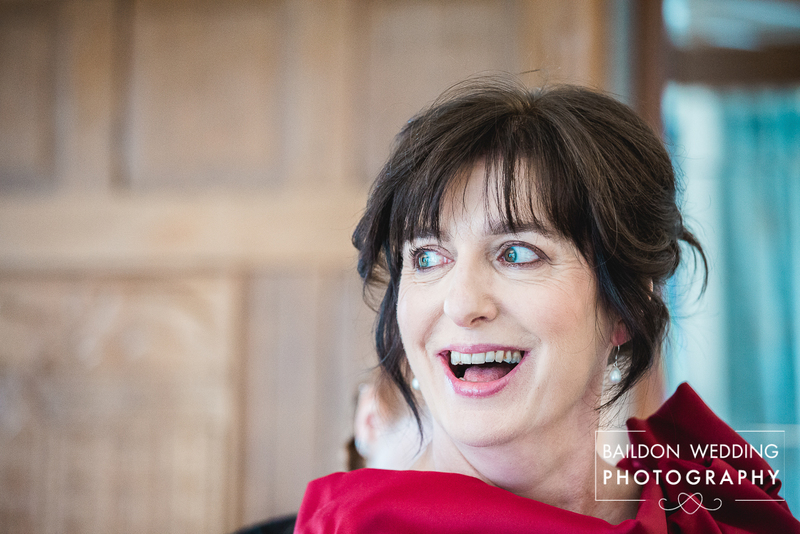 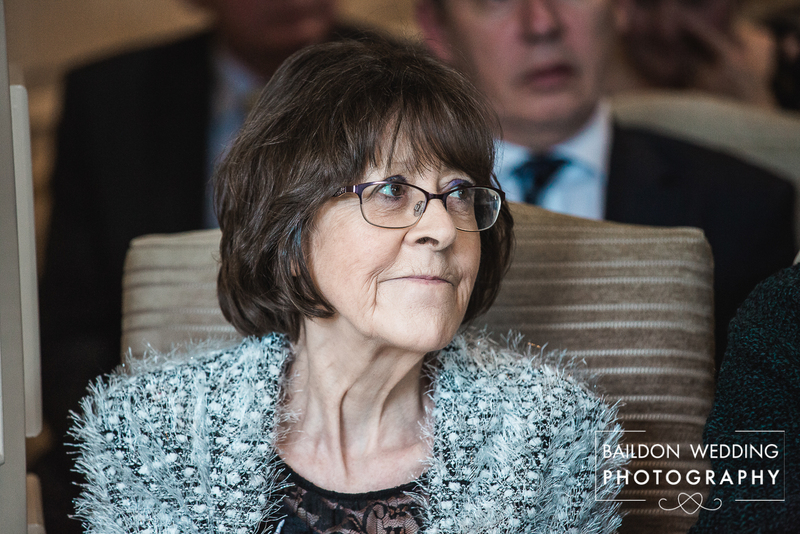 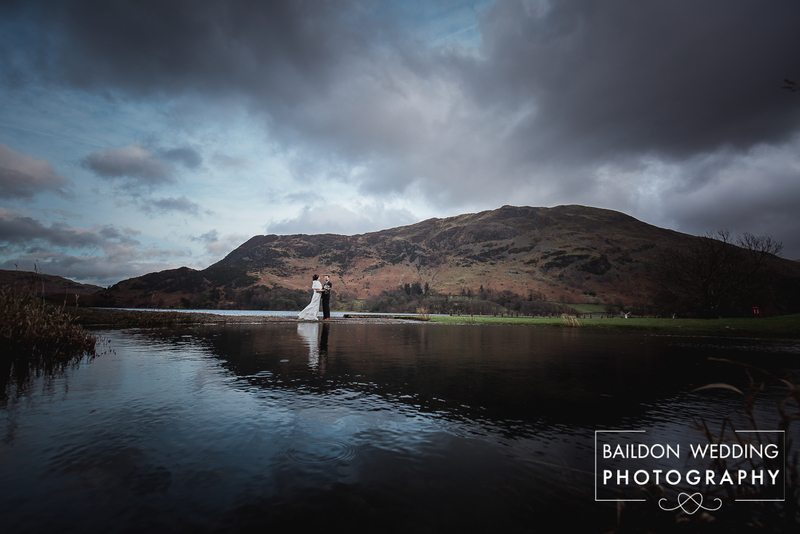 I was ecstatic to be asked to photograph Catherine and Paul’s Inn on the Lake wedding in the Lake District. 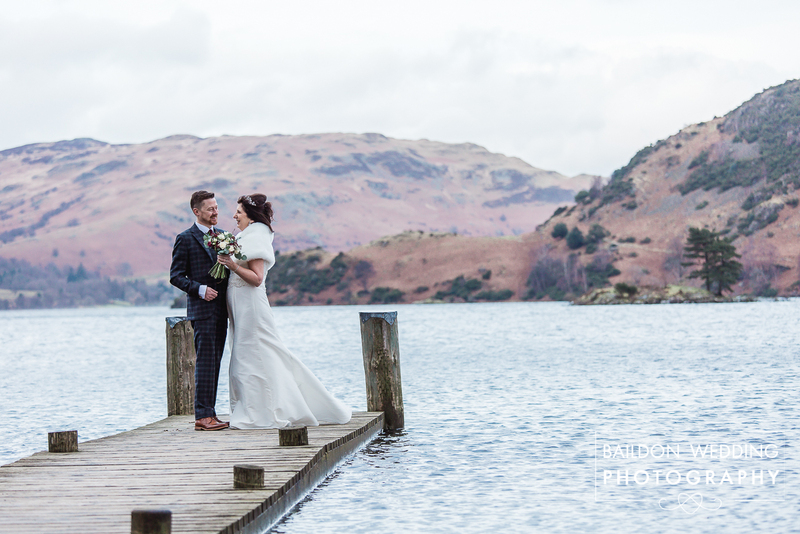 Paul and Catherine are an adventurous couple who spend a lot of time exploring the countryside together, especially the Lake District. 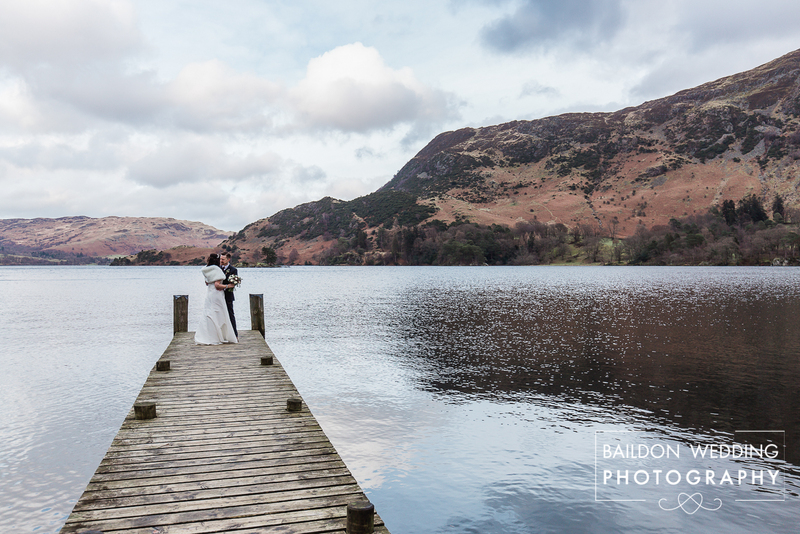 The Inn on The Lake wedding venue was such a perfect location for their nuptials. 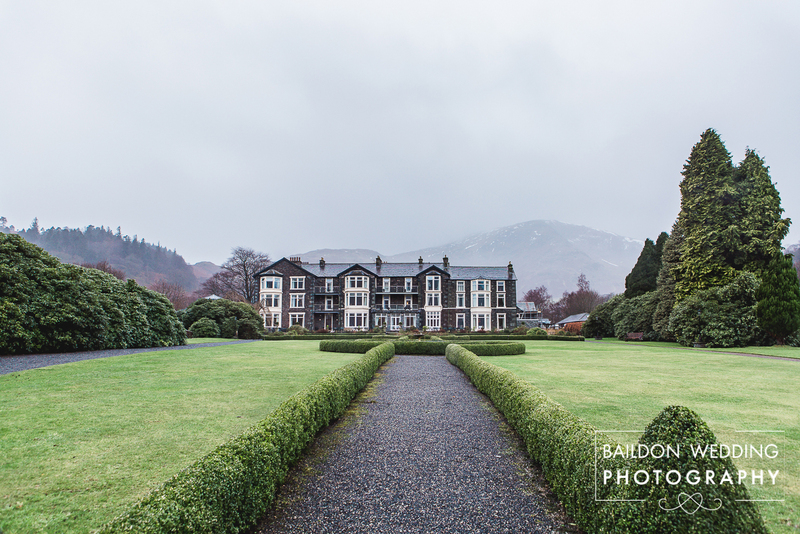 Located in Glenridding, on the shores of Lake Ullswater, with the majestic Helvellyn mountain range providing a spectacular backdrop. 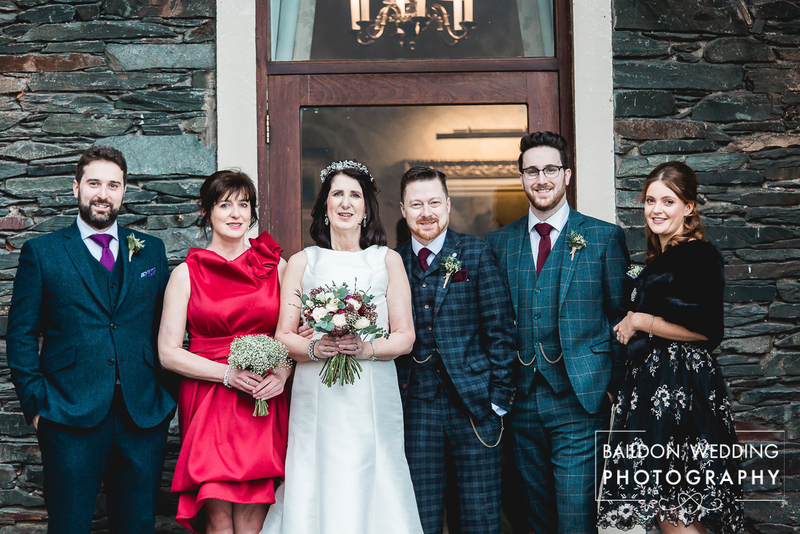 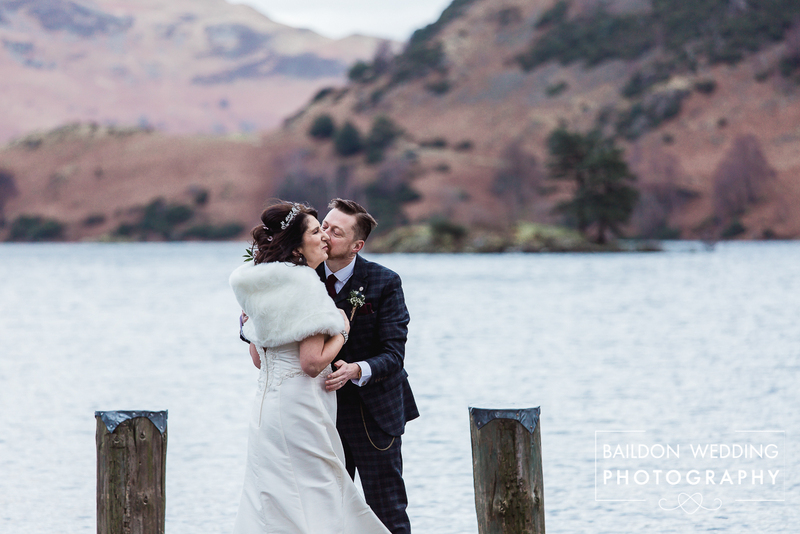 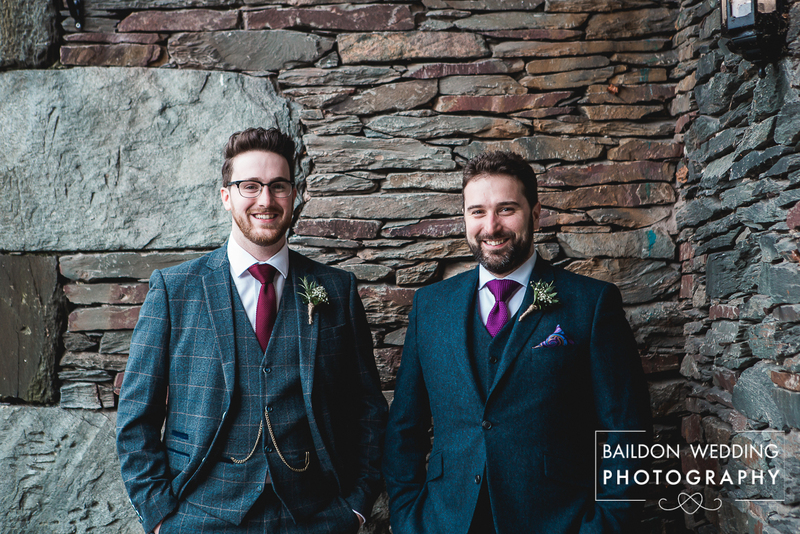 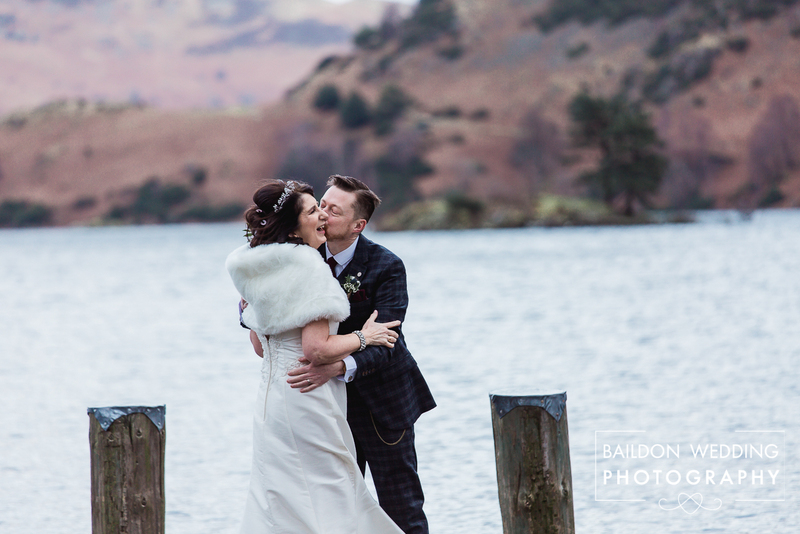 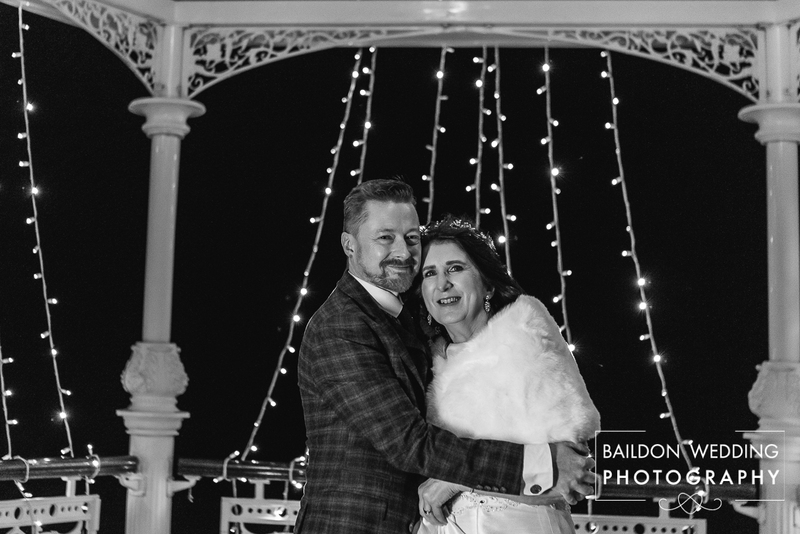 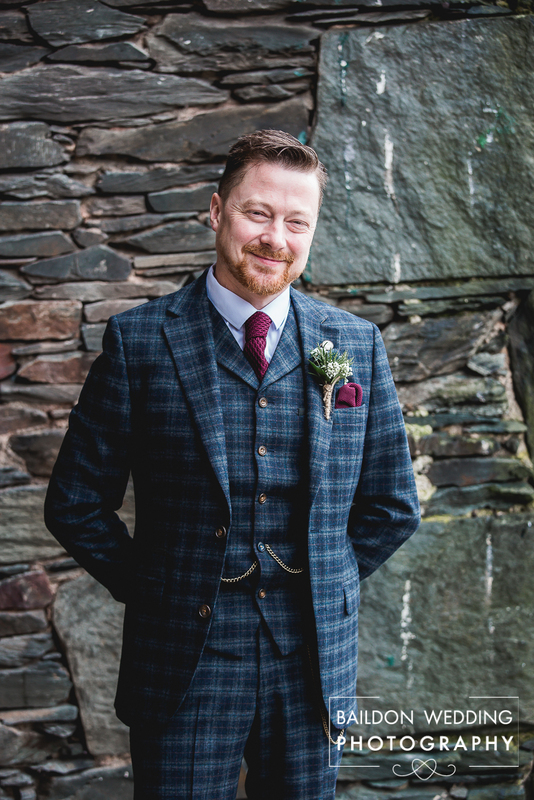 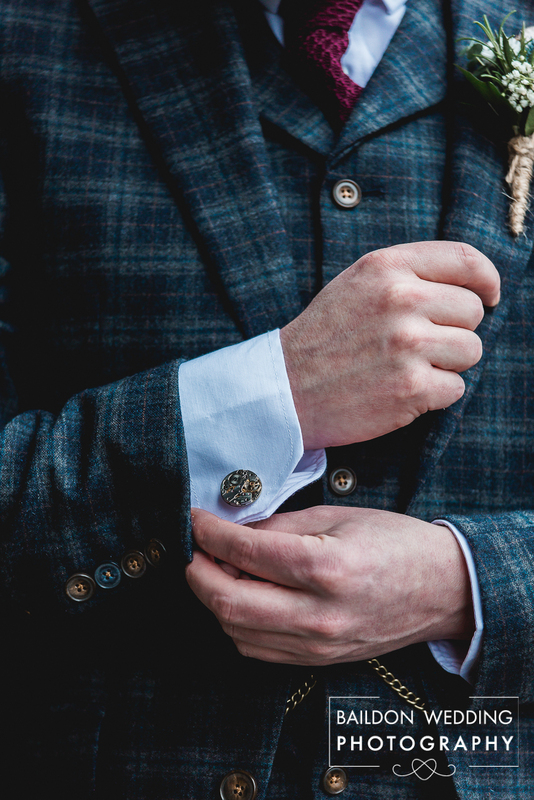 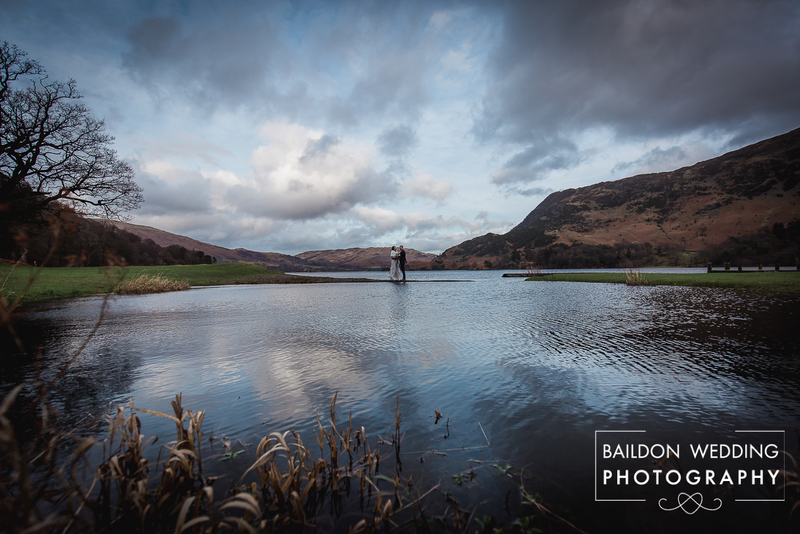 As it was a January wedding in the Lake District, where the weather is changeable at the best of time, we had to play it by ear for outdoor photographs. 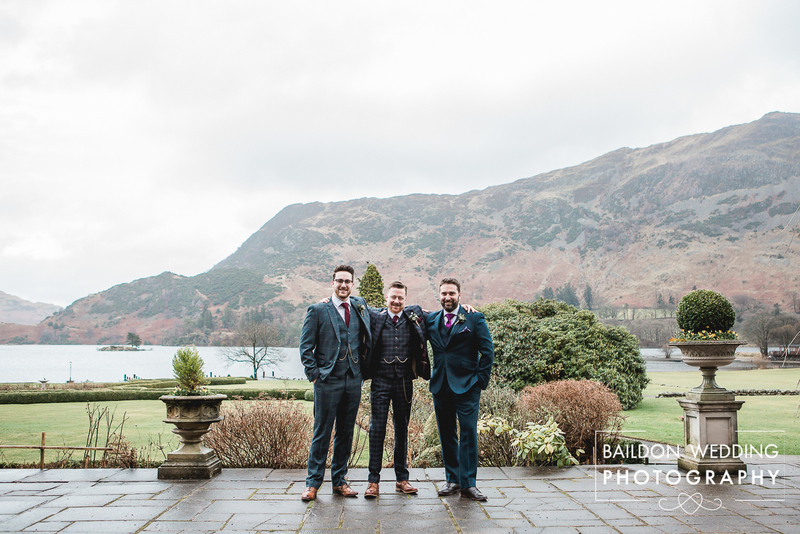 They had hoped for an outdoor ceremony, but the registrars deemed the weather not to be suitable. 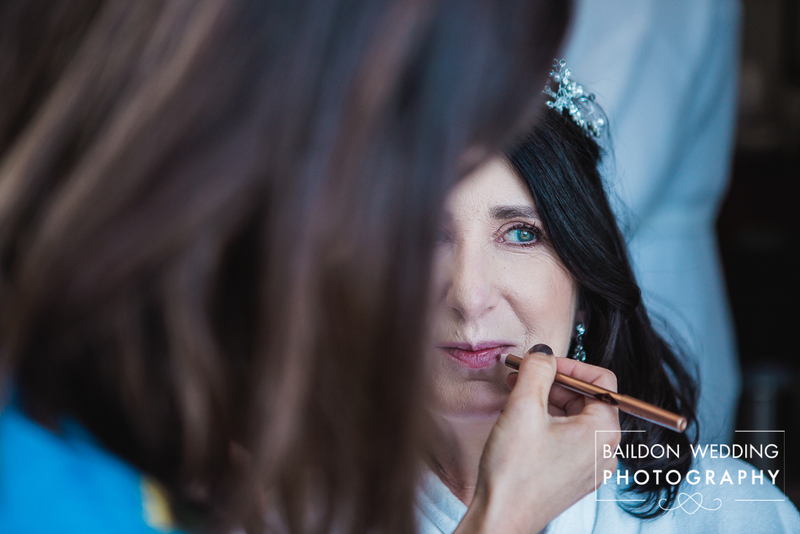 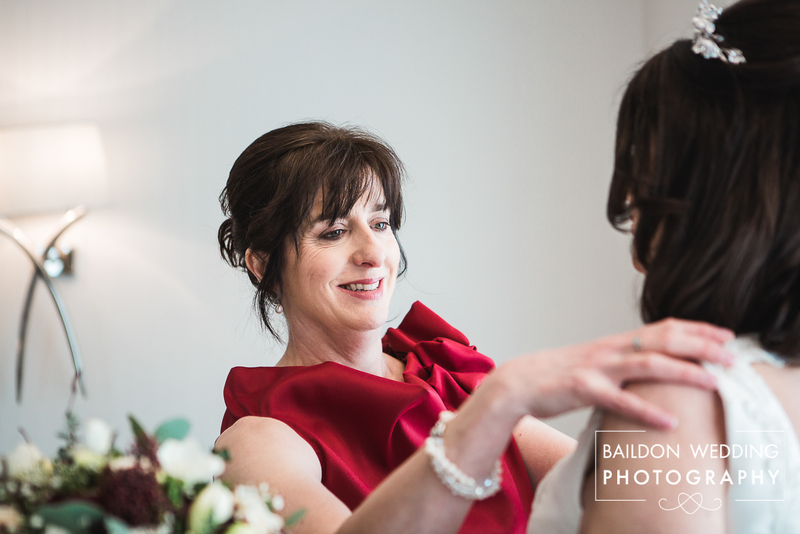 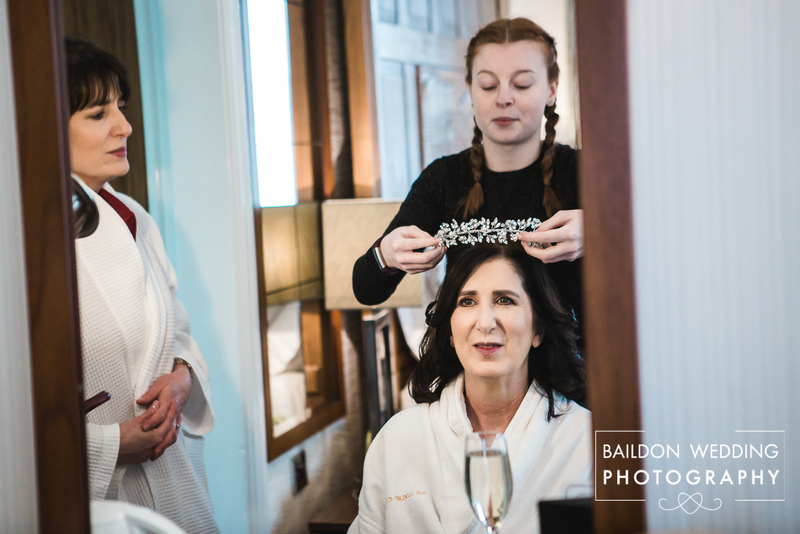 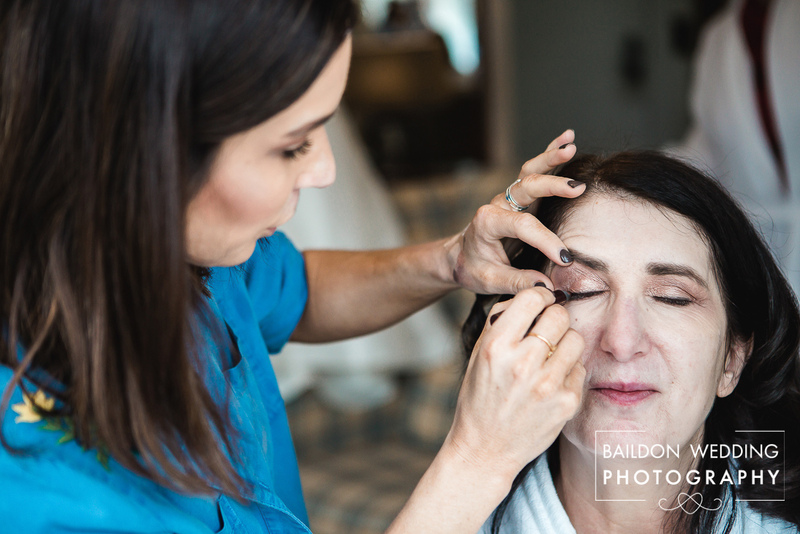 Catherine, her sister Trish and son’s girlfriend Lucy got ready in a beautiful room that benefited from the mountain views. 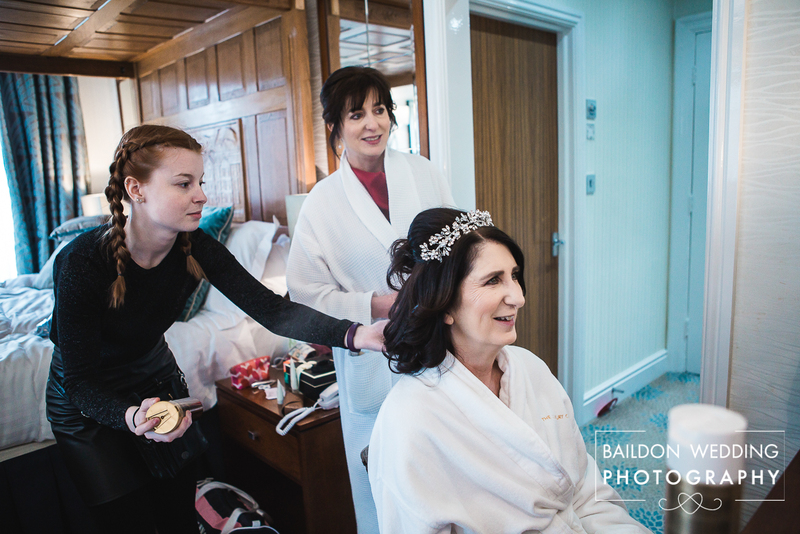 The fabulous Keseme (Le Petit SALON) did a fantastic job with the ladies make-up and stepped in for some last minute dress alterations. 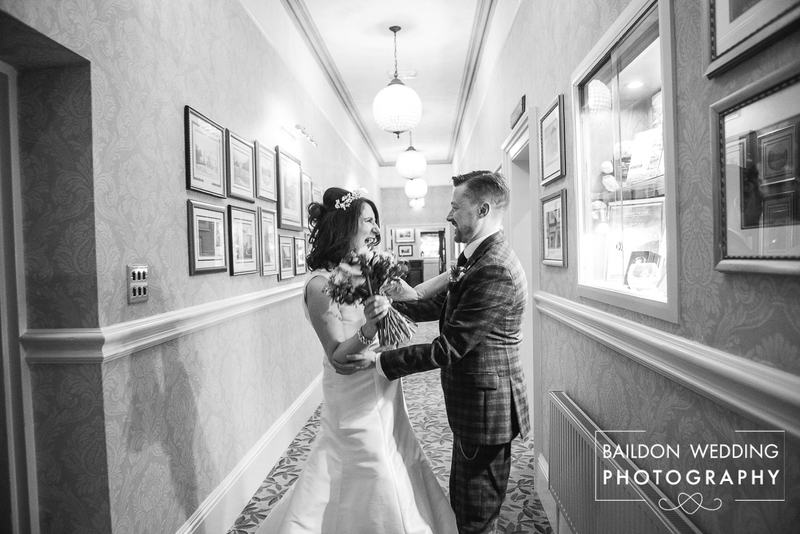 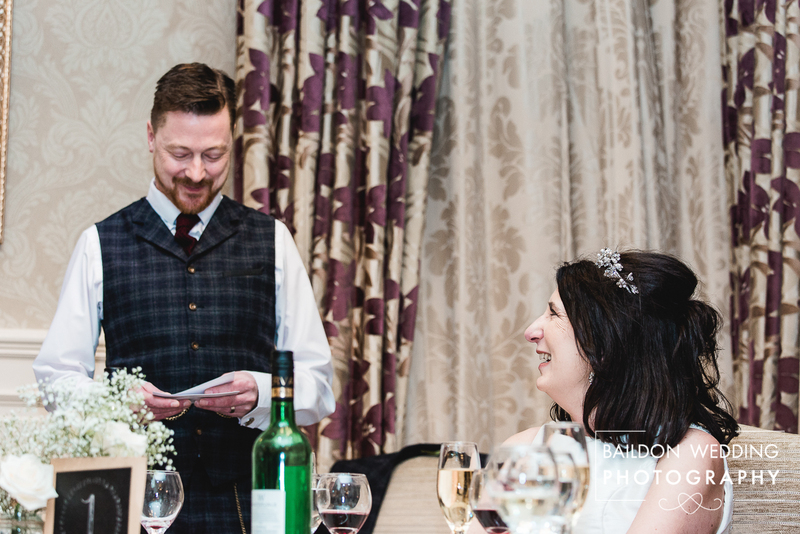 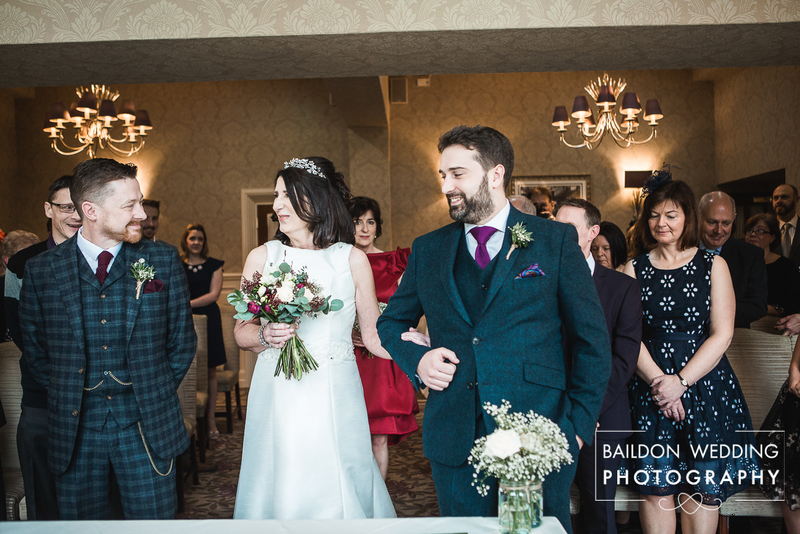 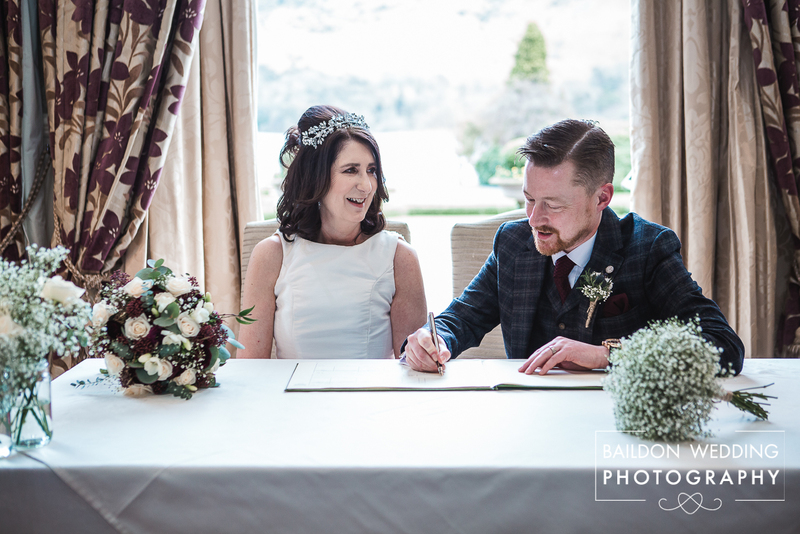 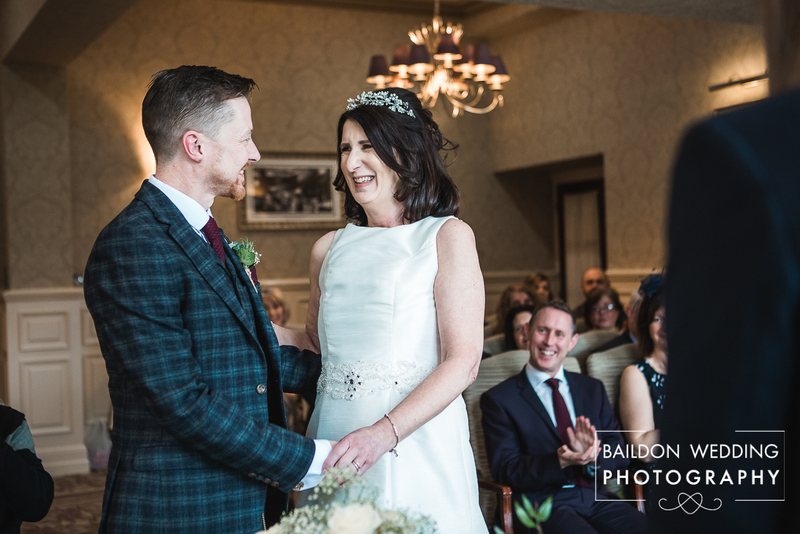 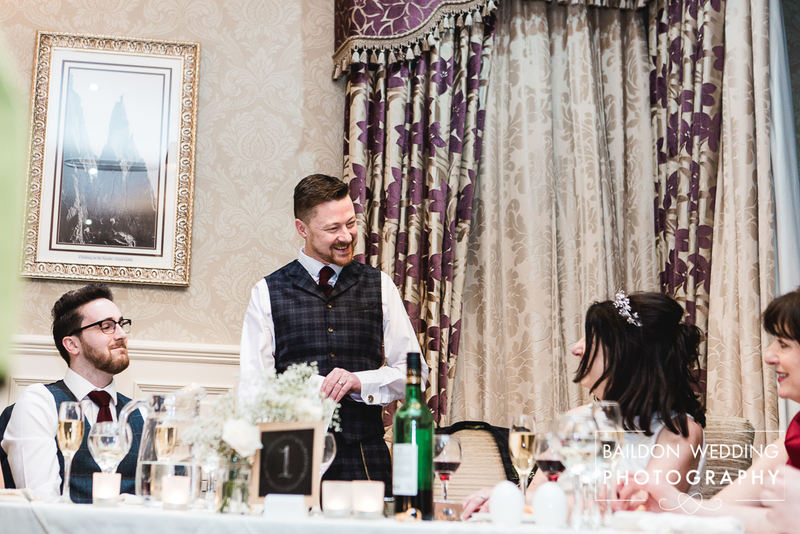 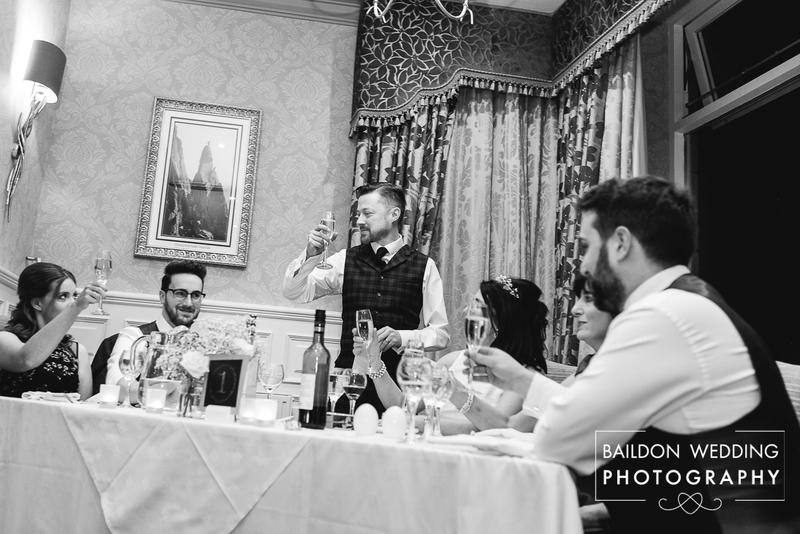 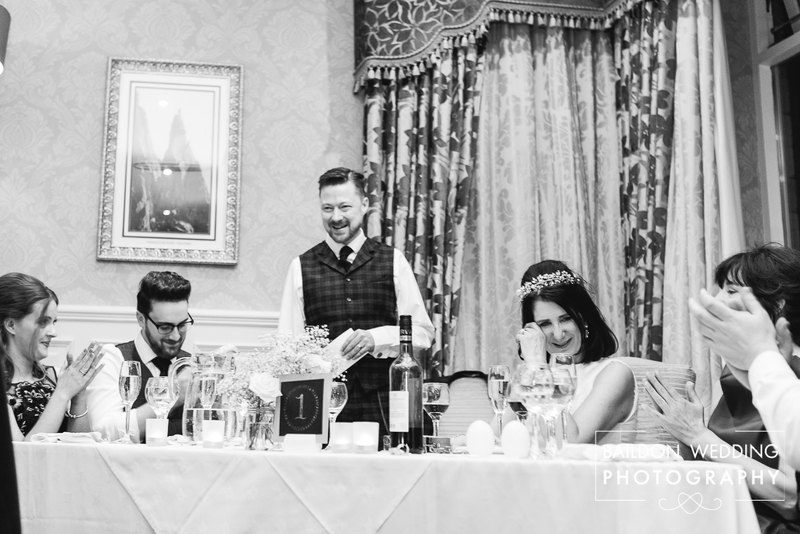 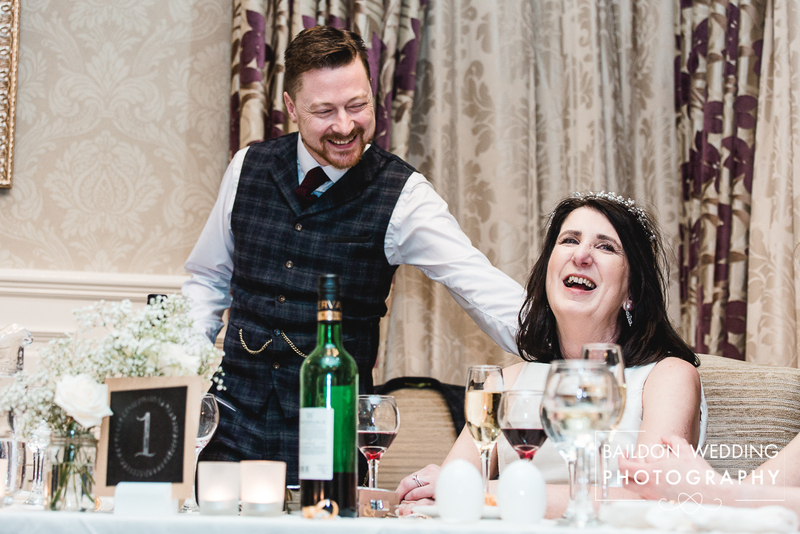 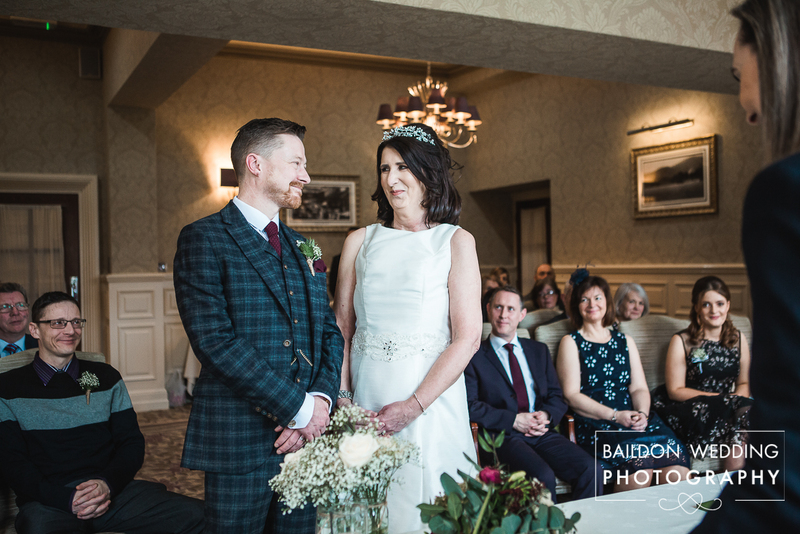 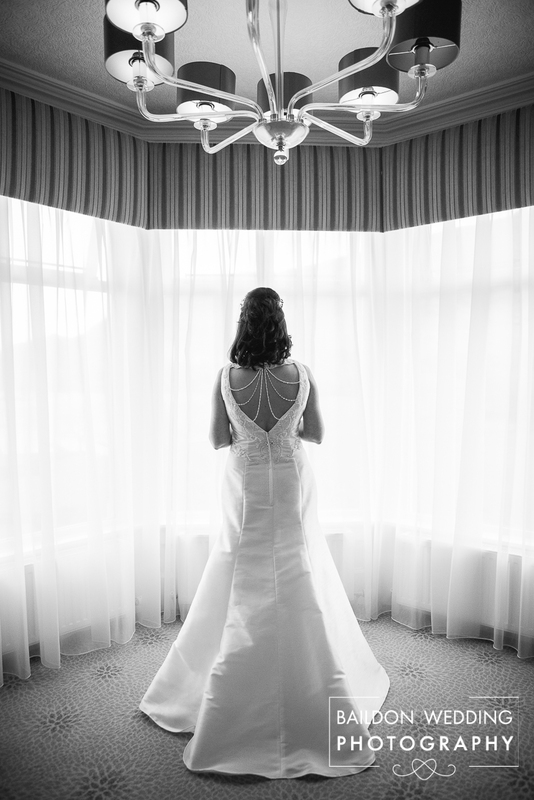 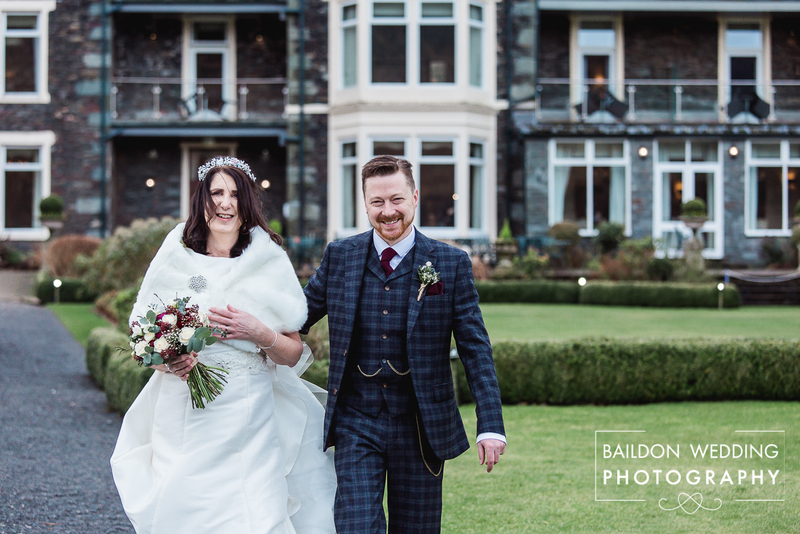 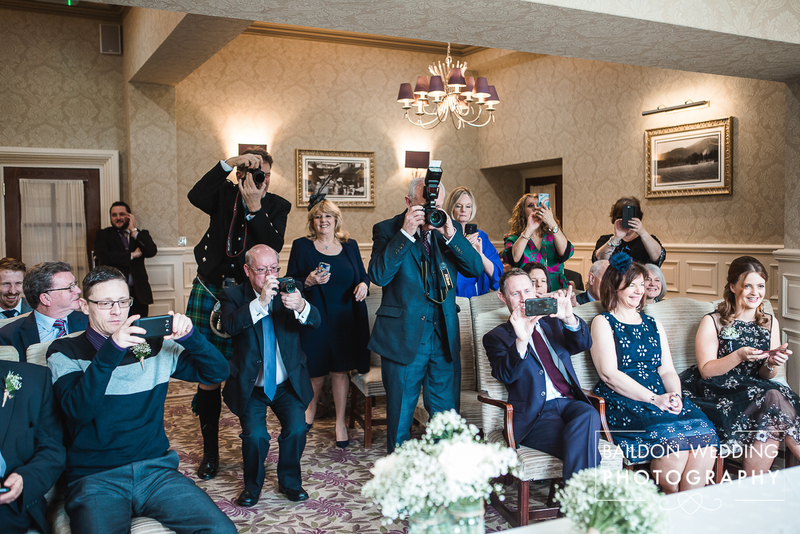 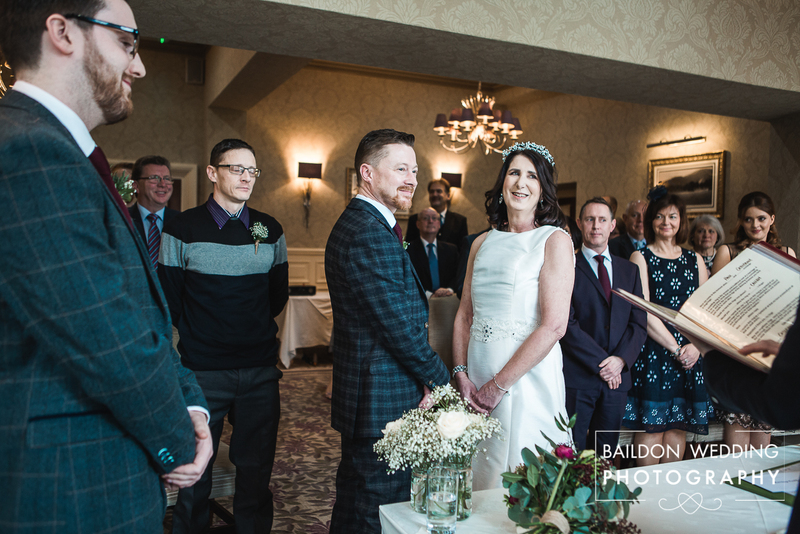 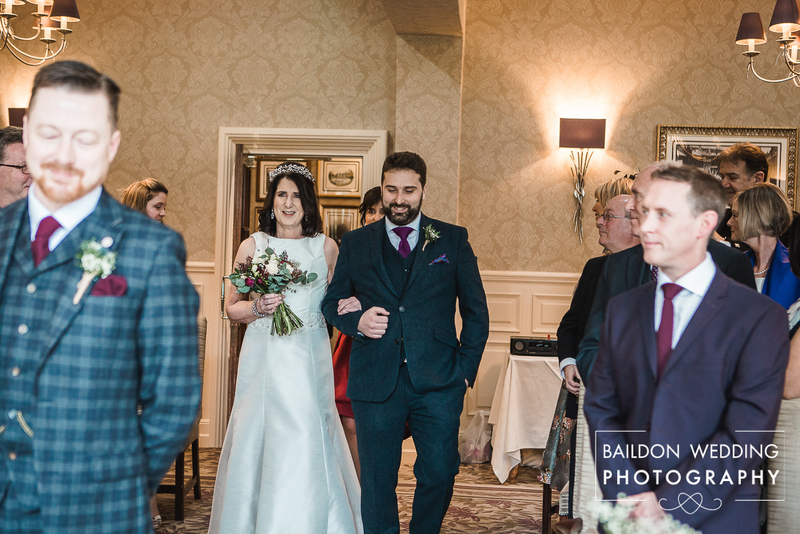 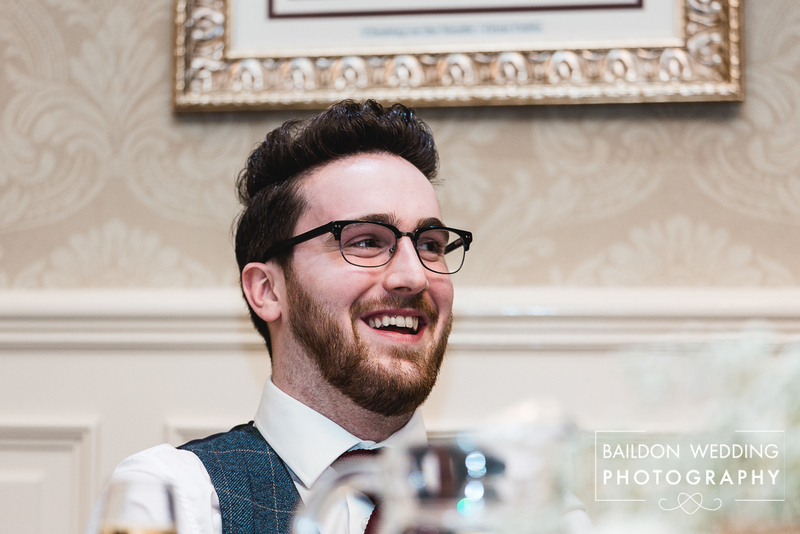 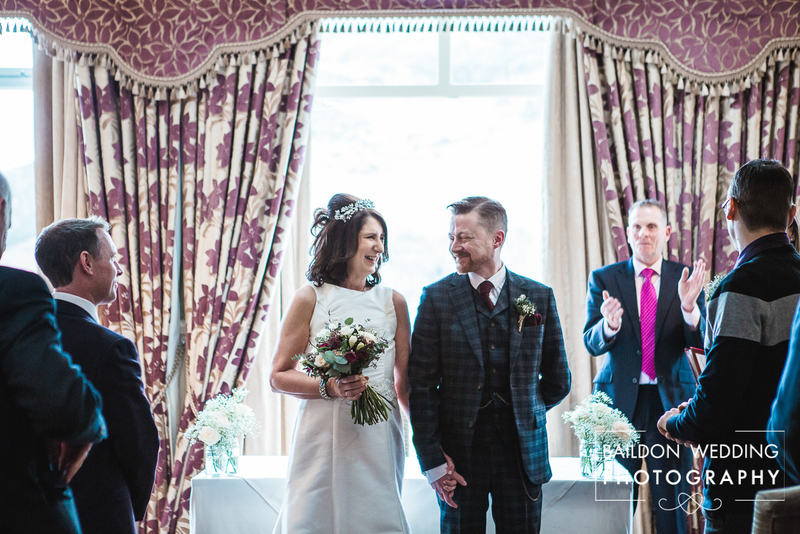 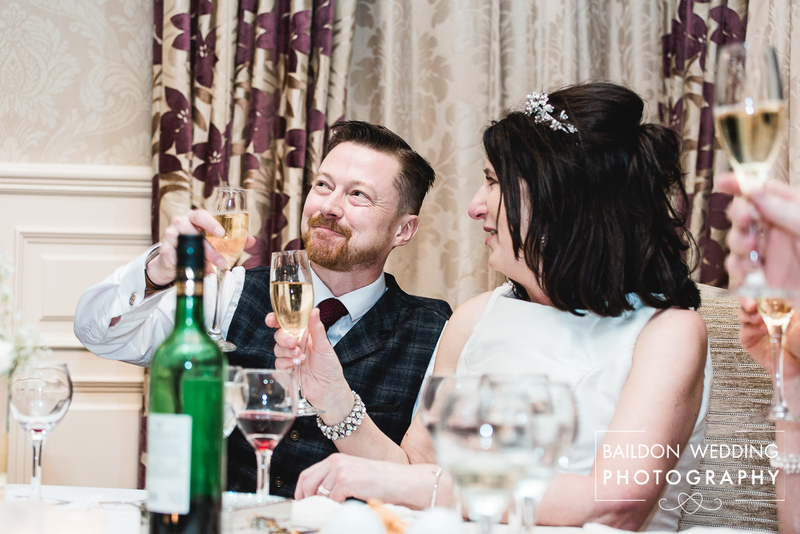 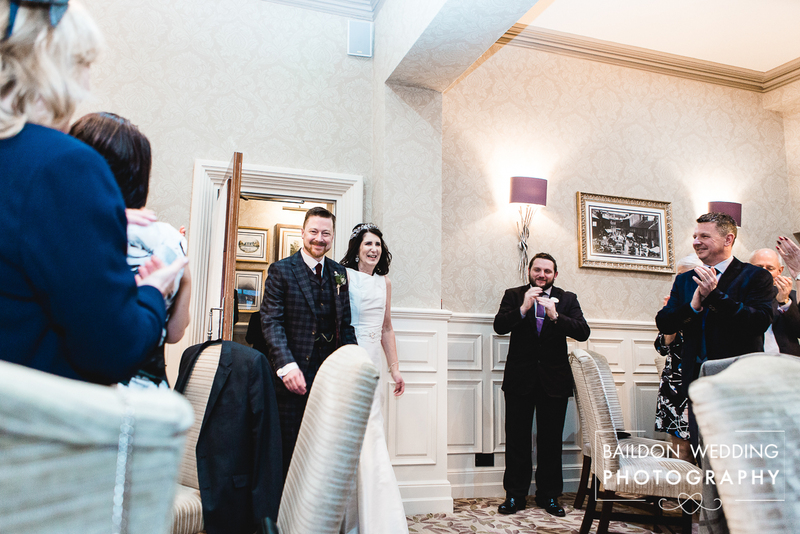 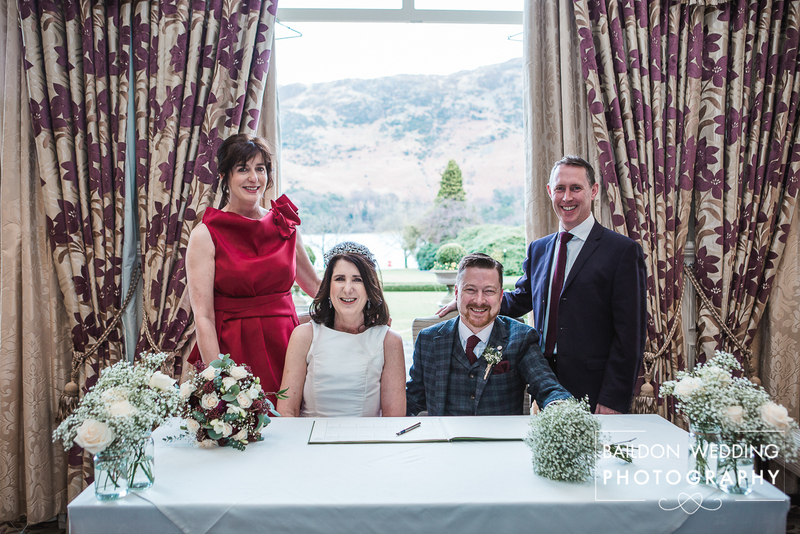 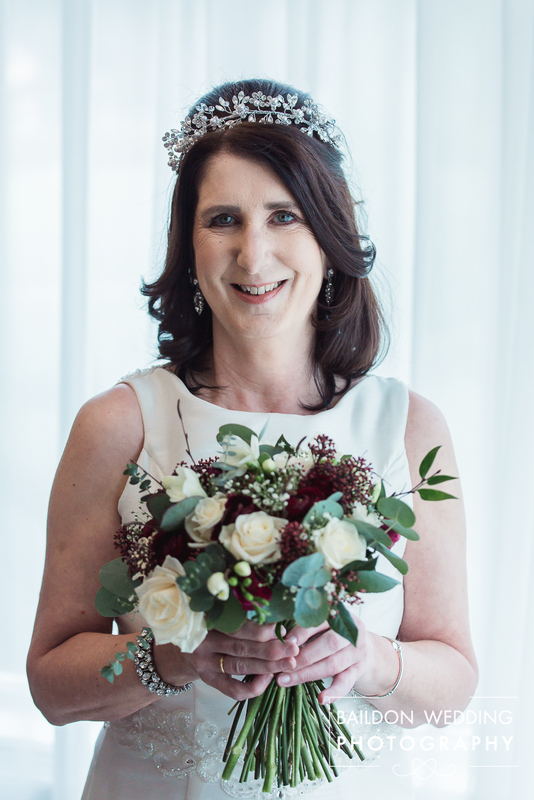 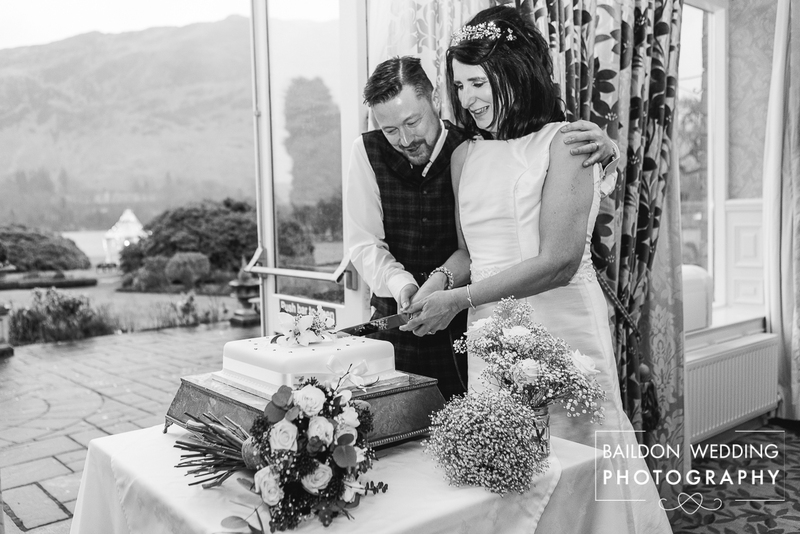 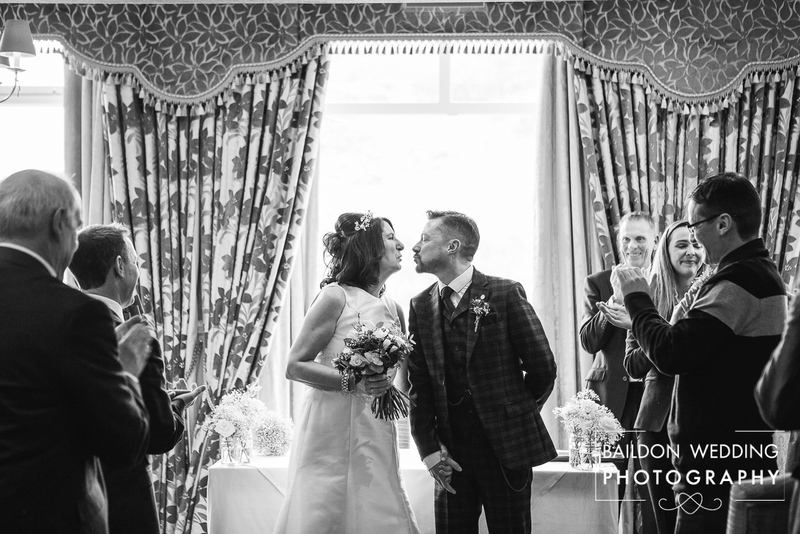 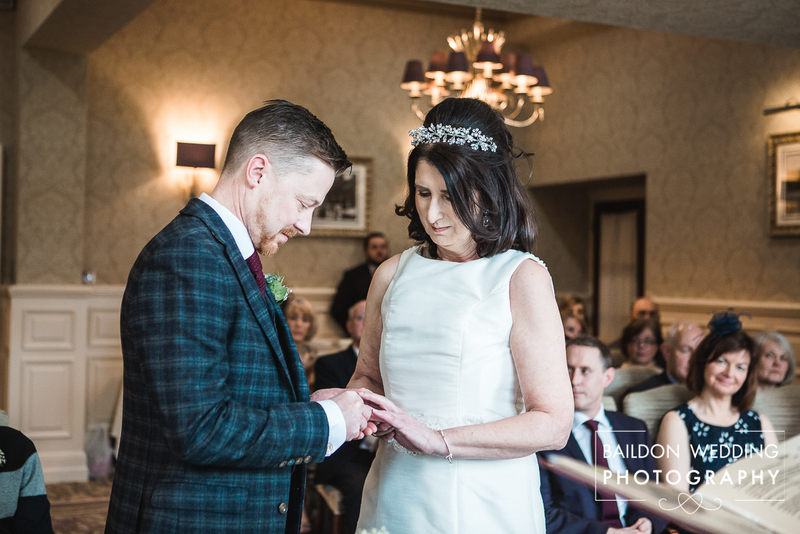 Catherine and Paul’s ceremony took place in the Glenridding Suite. 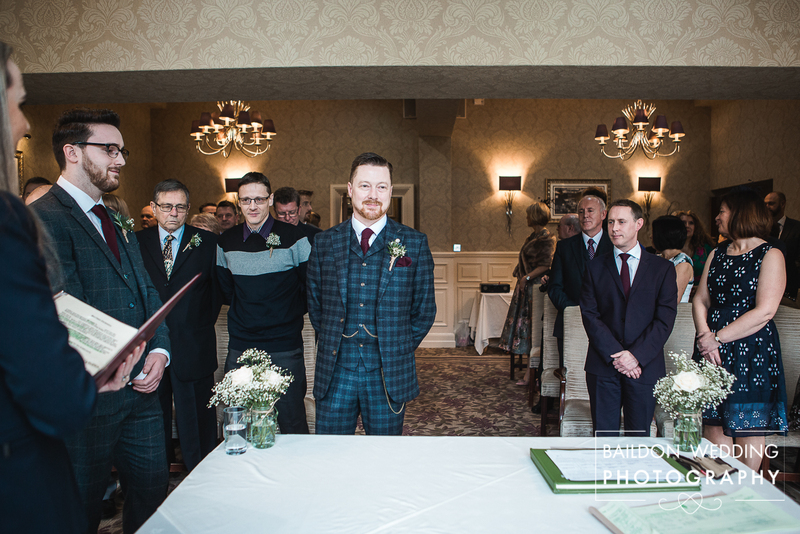 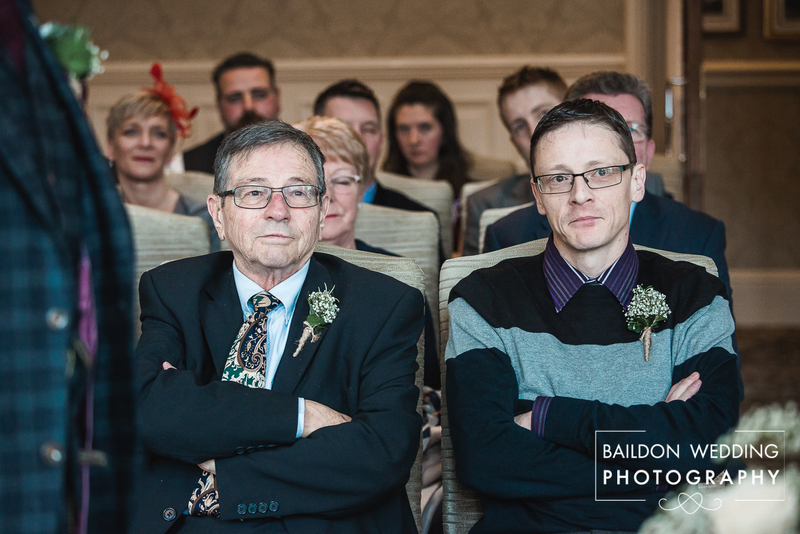 Paul had no nerves as he stood at the end of the aisle, with Best man Cal, Catherine’s younger son. 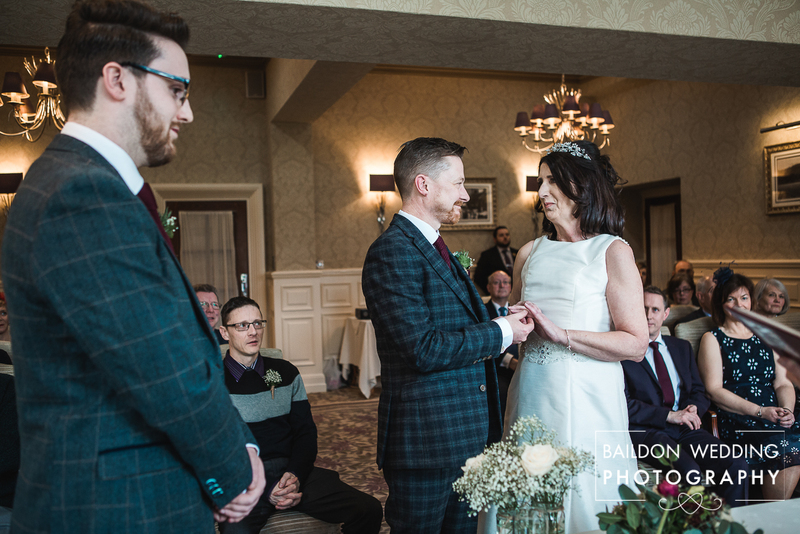 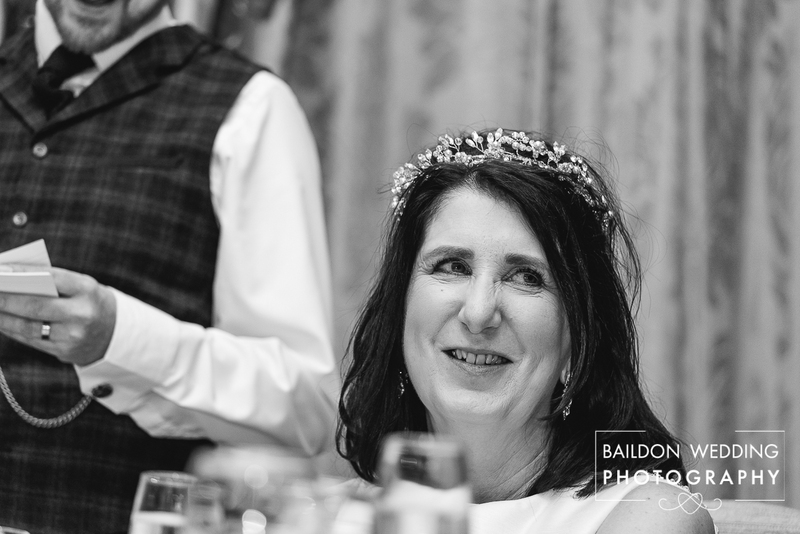 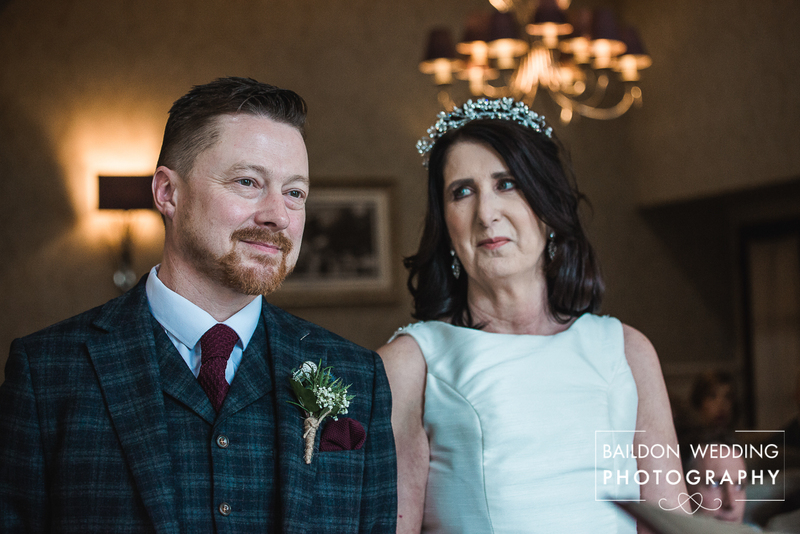 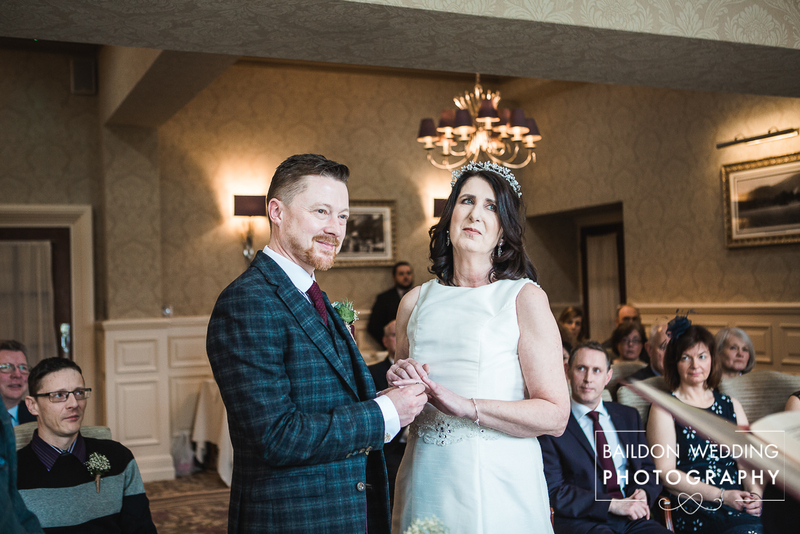 Catherine kept Paul waiting until the right part of the song came on for her to walk with her eldest son Tom, down the aisle to get married. 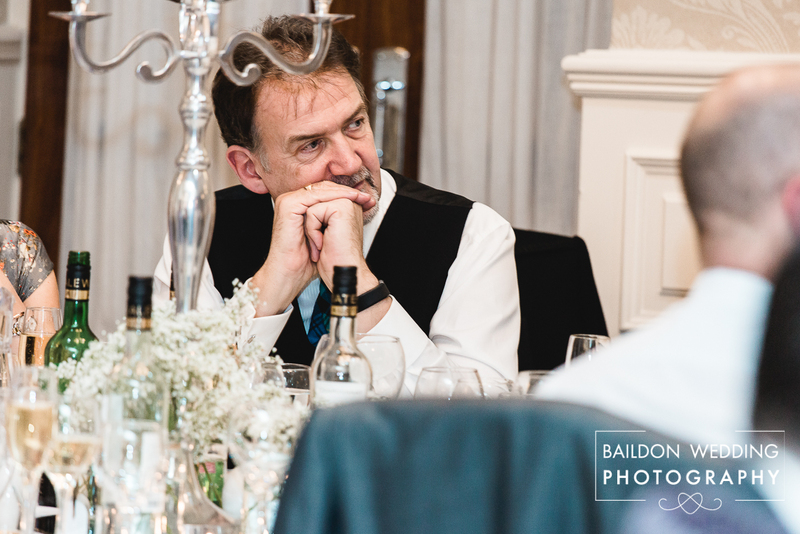 I always keep an eye on the weather forecast, to give me an idea of the conditions and any breaks in the weather we are likely to encounter. 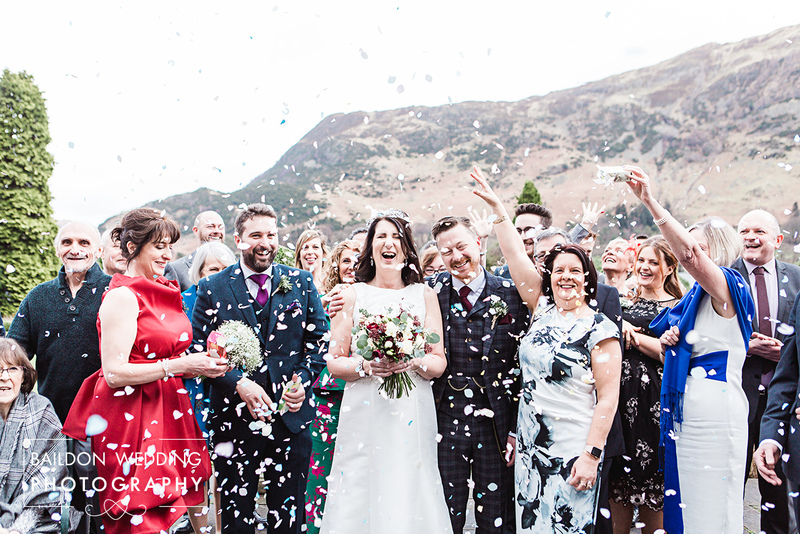 The weather forecast was relatively accurate although the group shots paused when a shower appeared meaning everyone dashed inside to escape the rain. 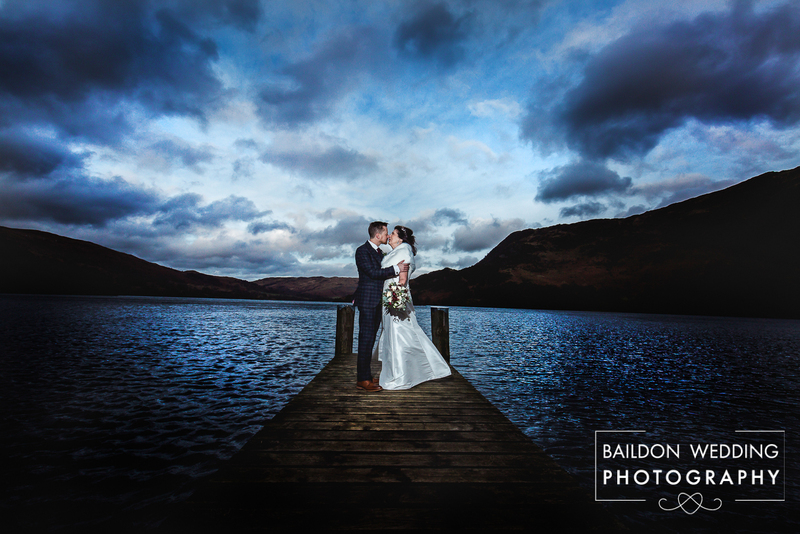 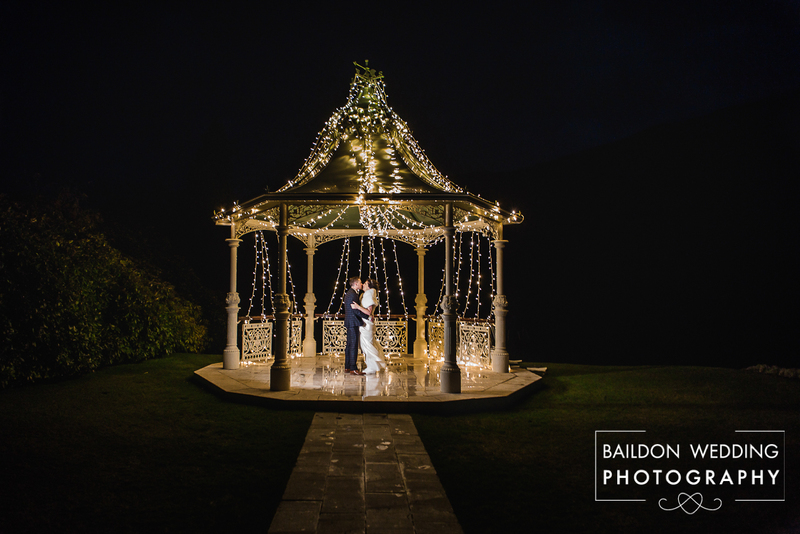 There was a break in the rain, which we took advantage of for the couple photographs in the extensive grounds. 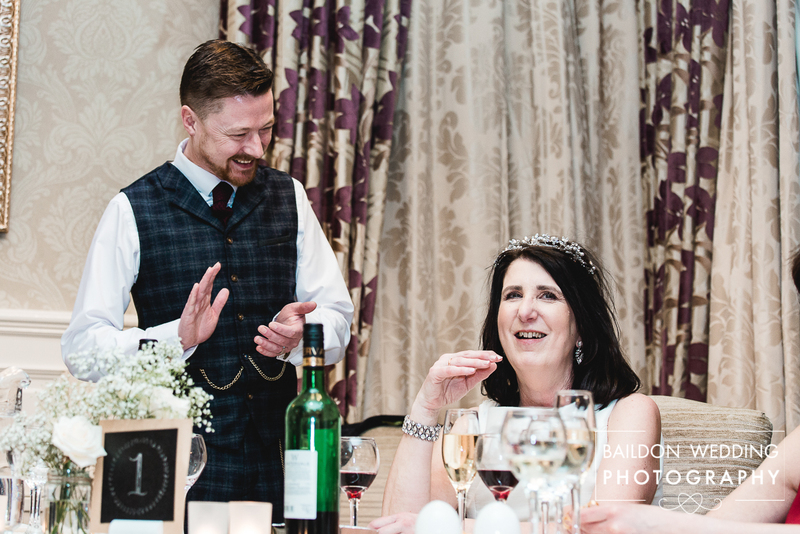 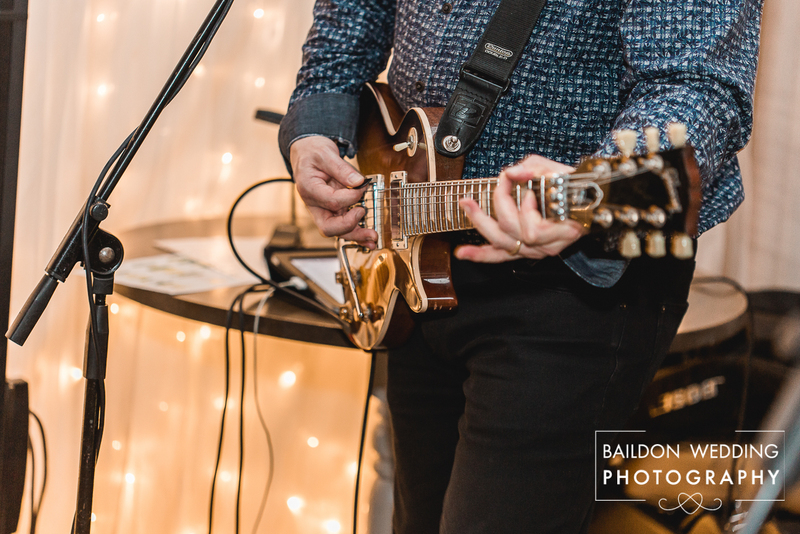 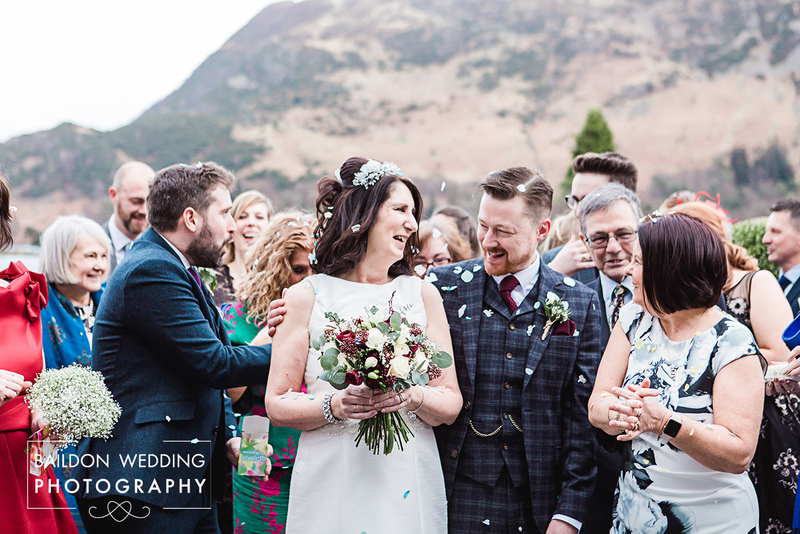 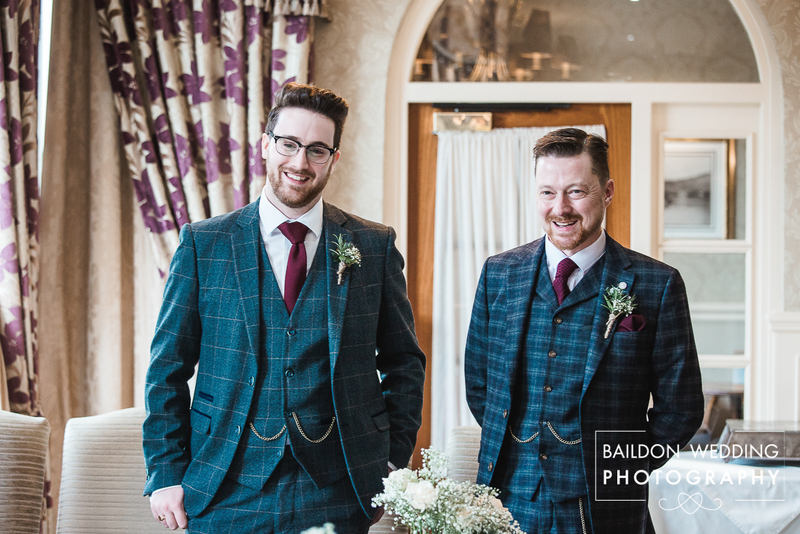 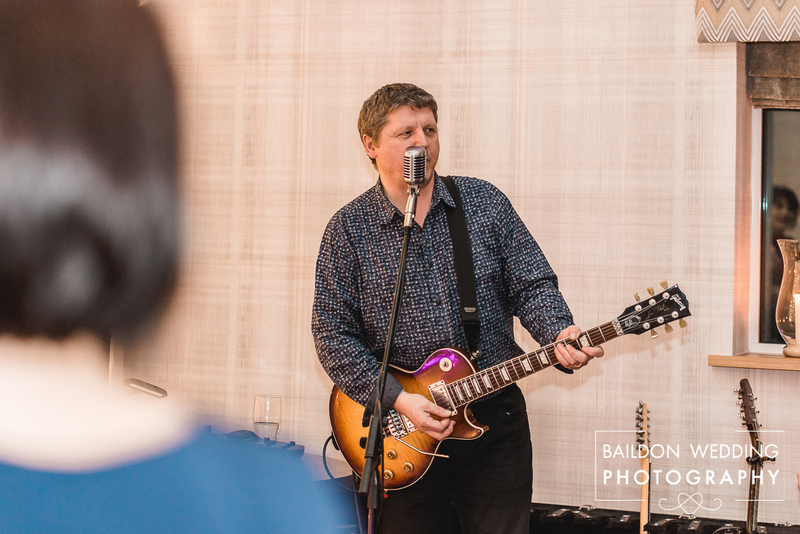 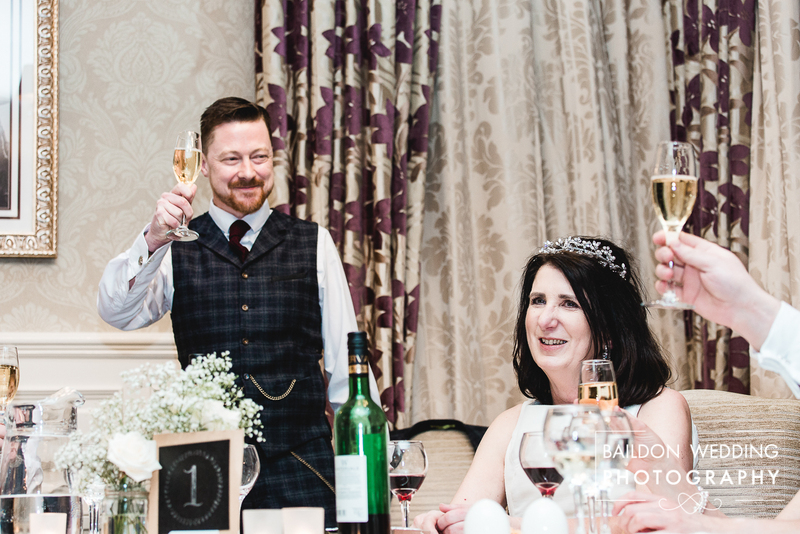 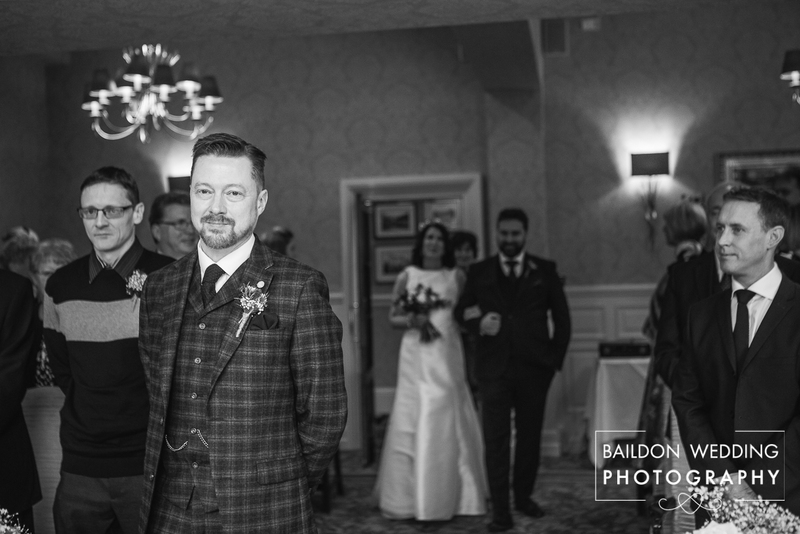 The party started with the Wonderland wedding band who the bride and groom had seen several years before in Fort William on one of their many adventures. 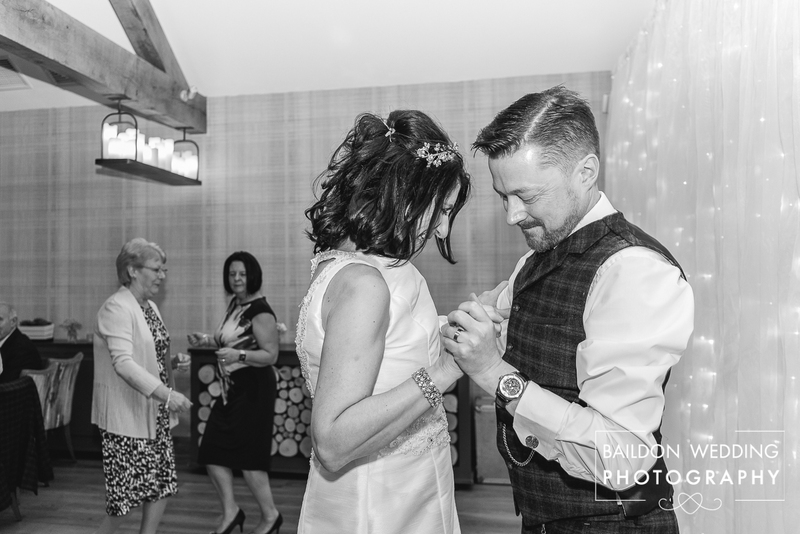 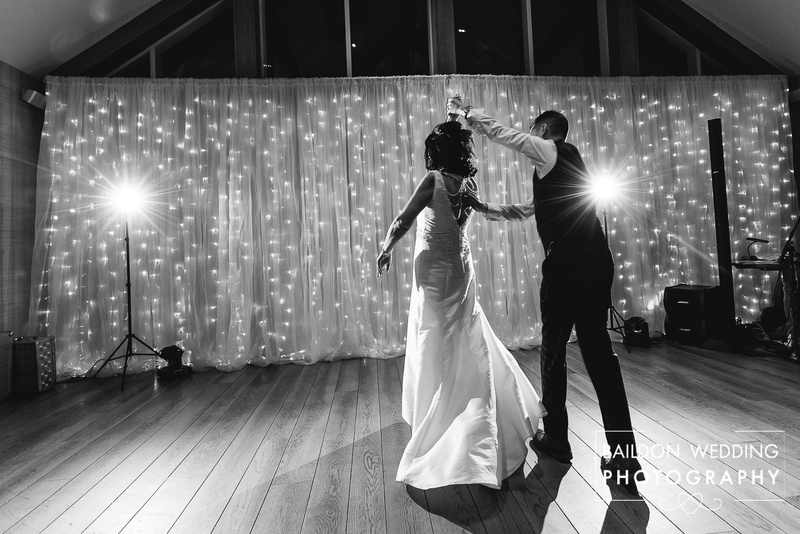 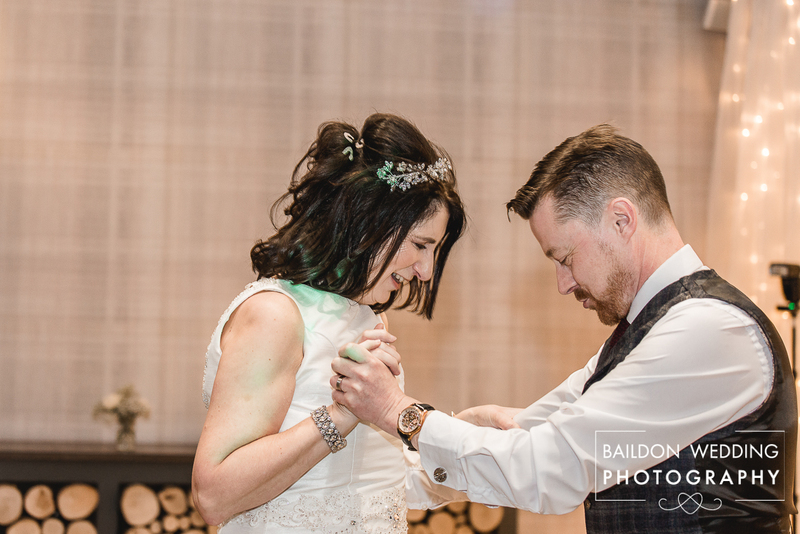 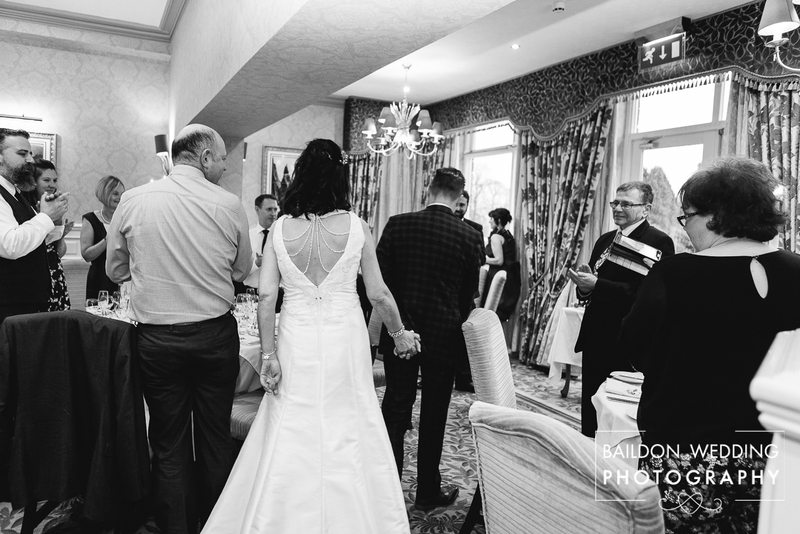 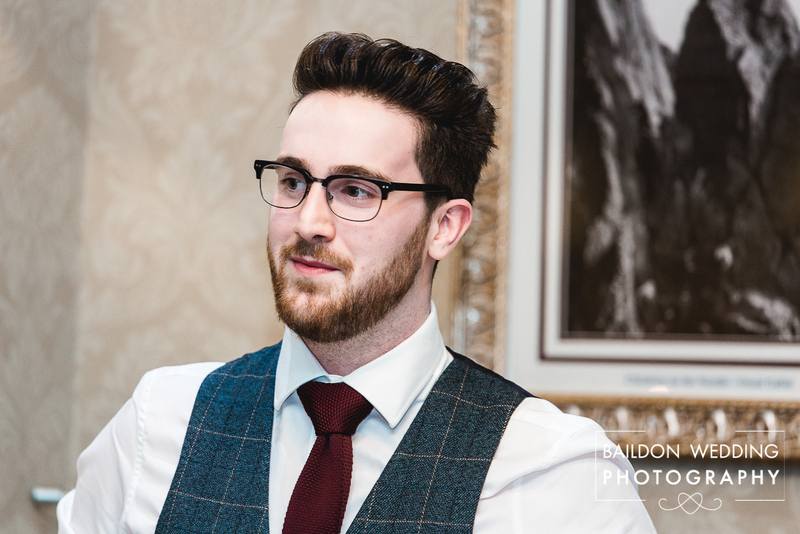 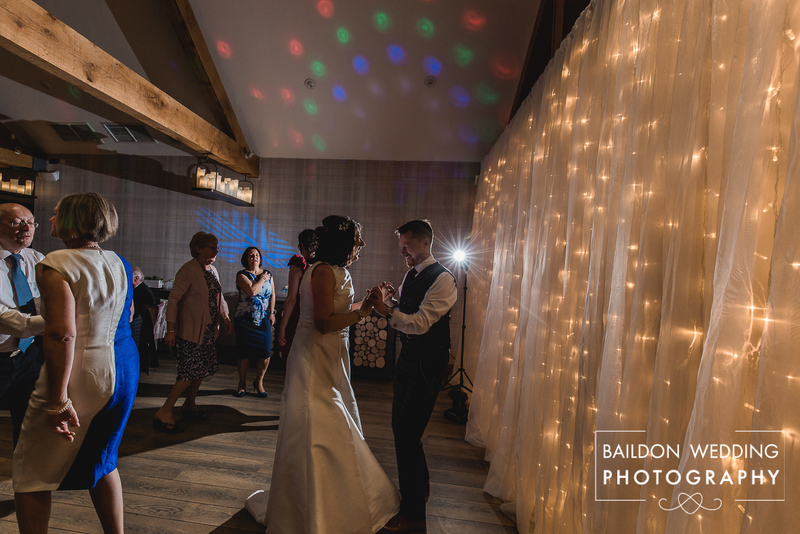 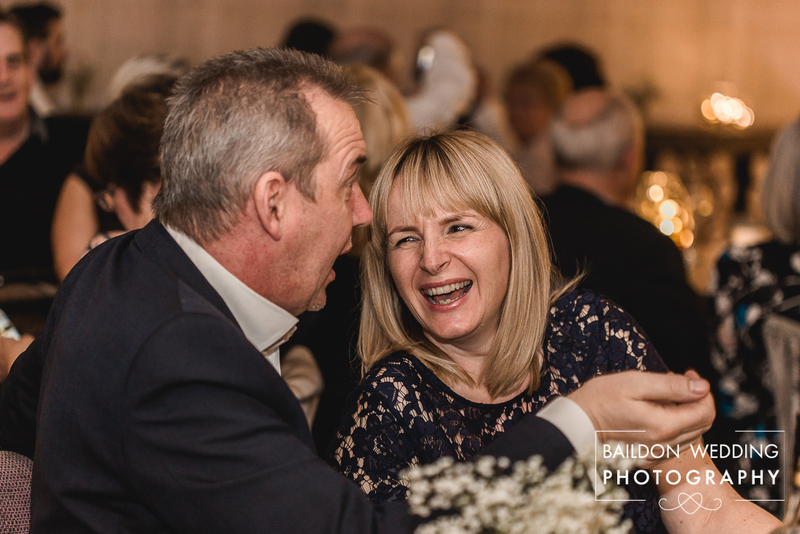 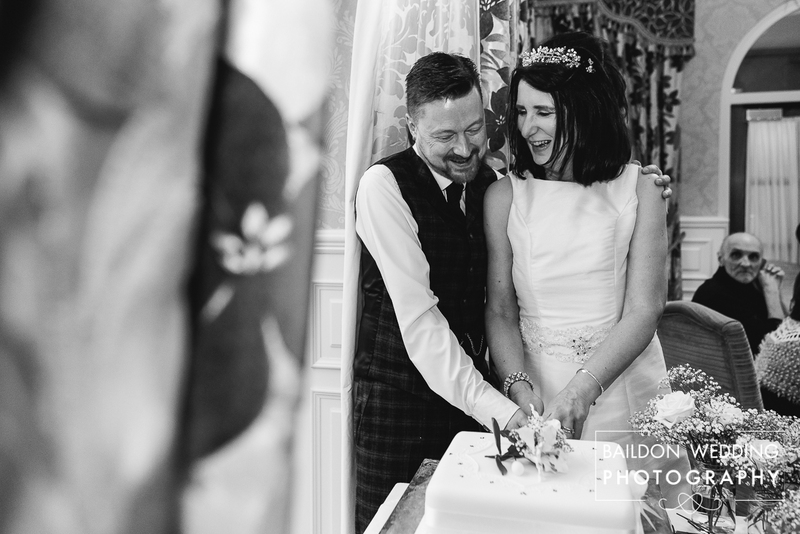 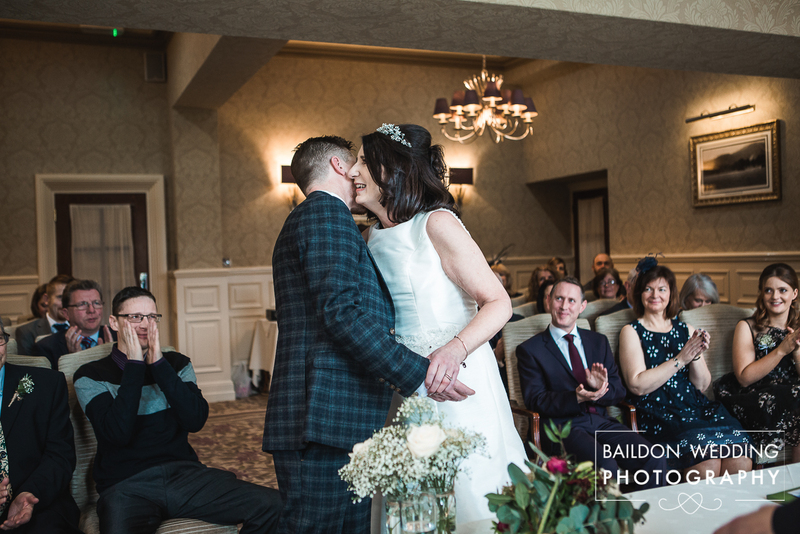 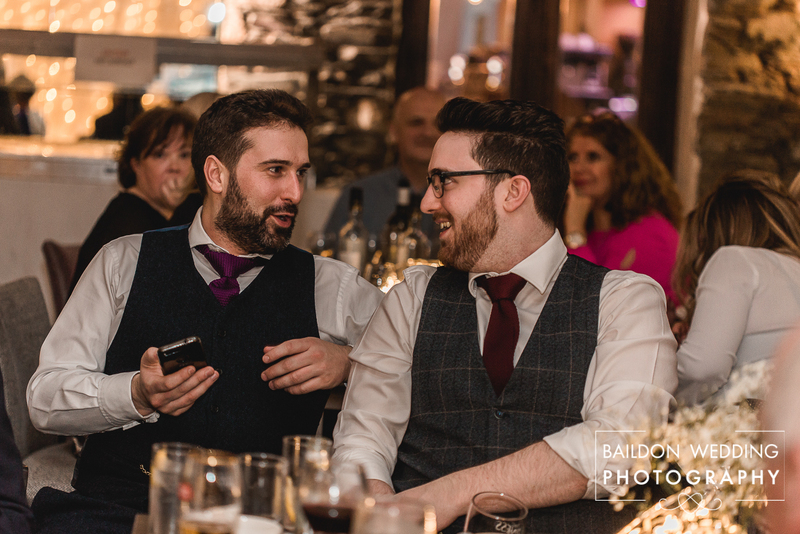 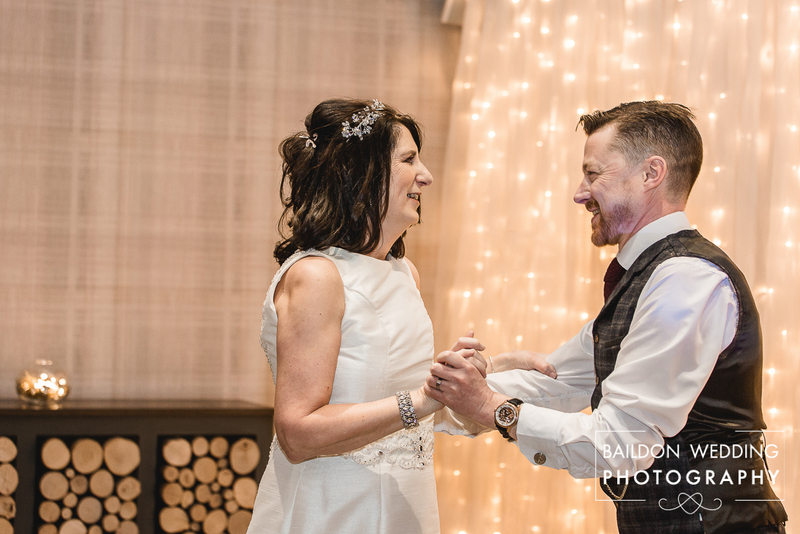 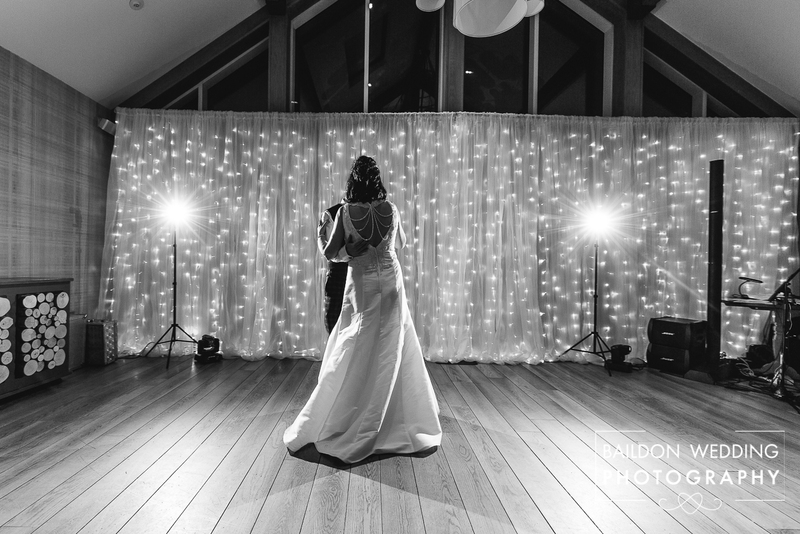 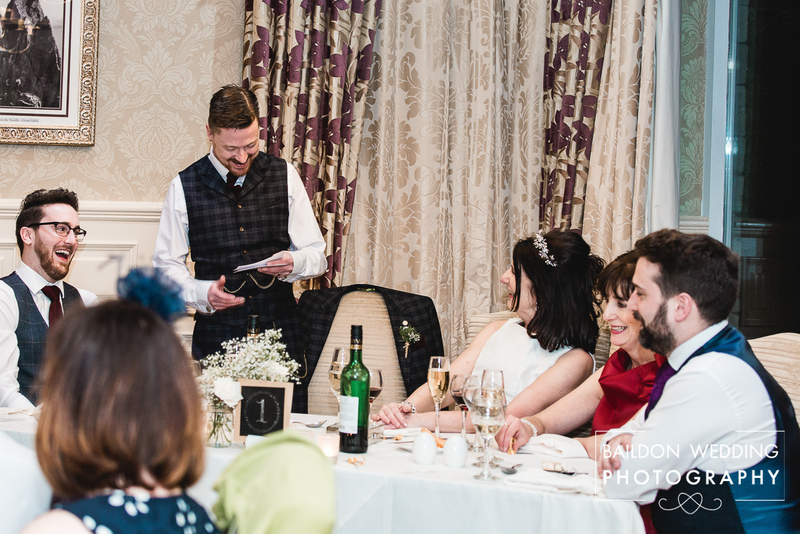 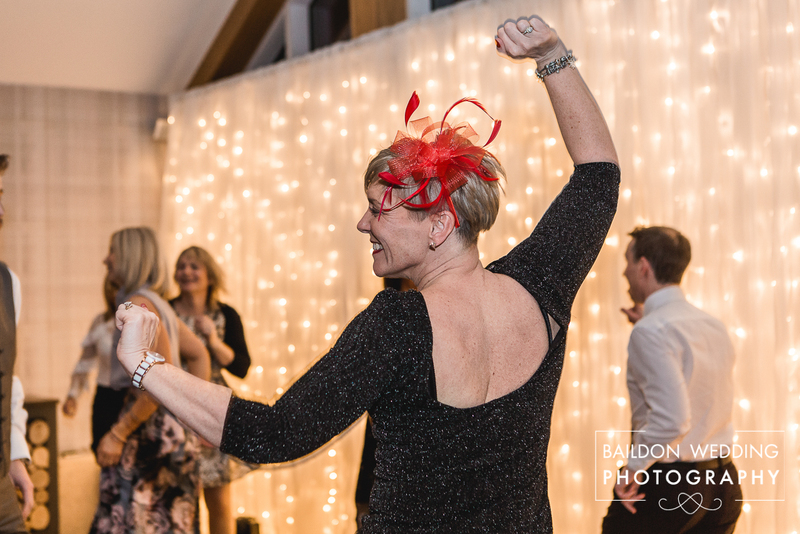 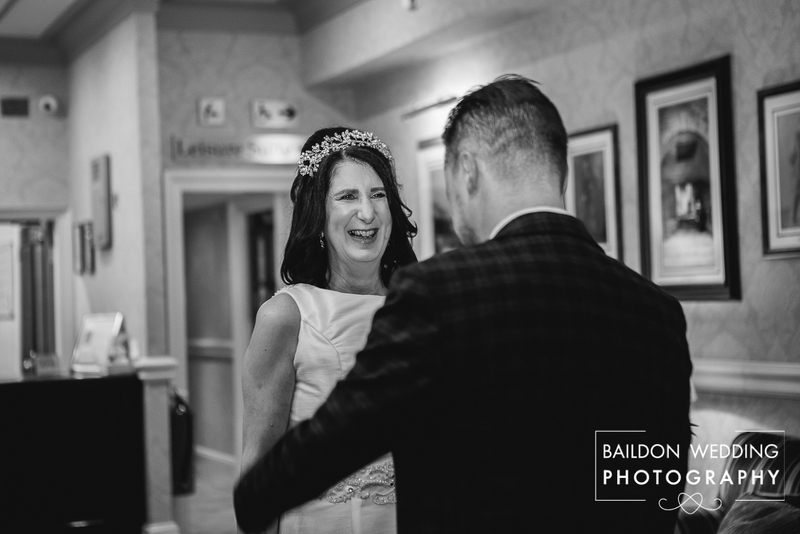 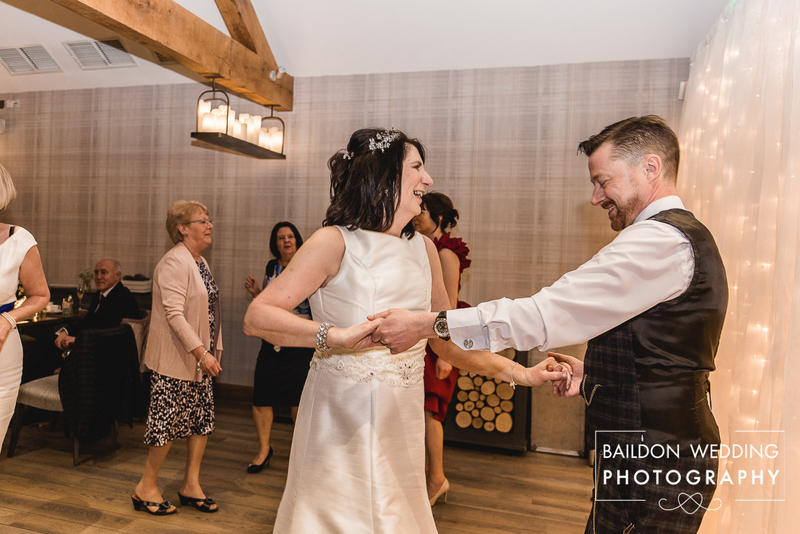 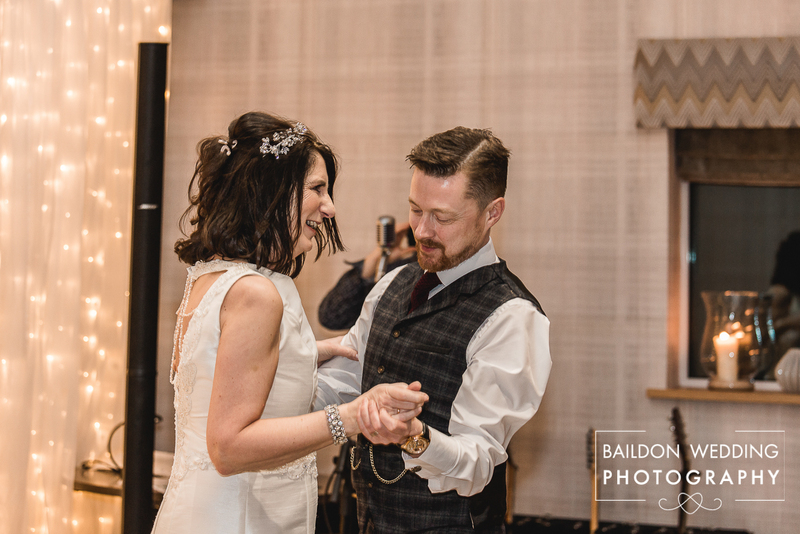 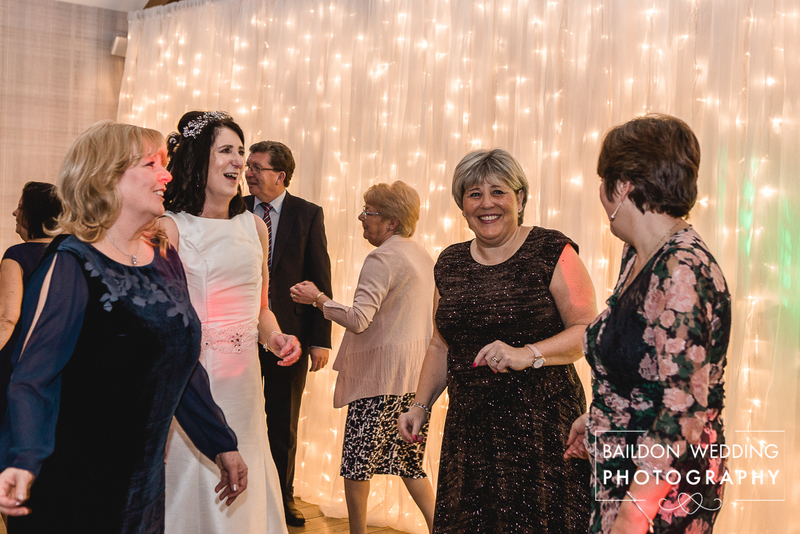 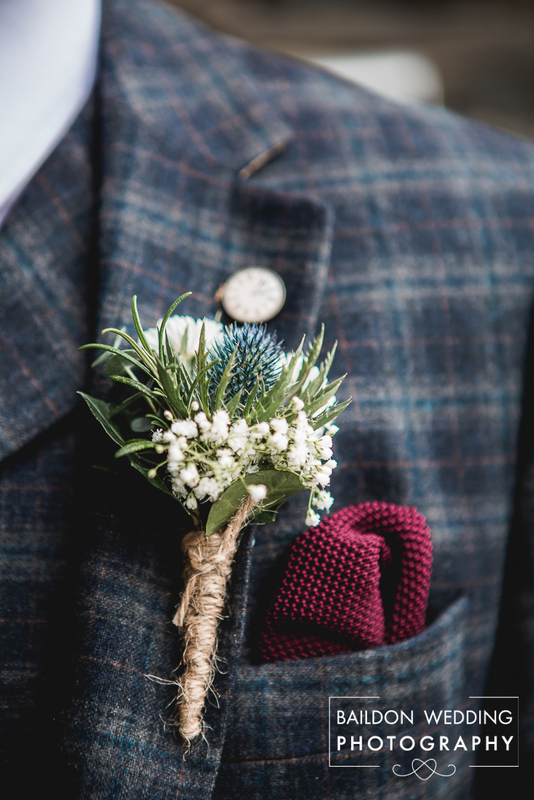 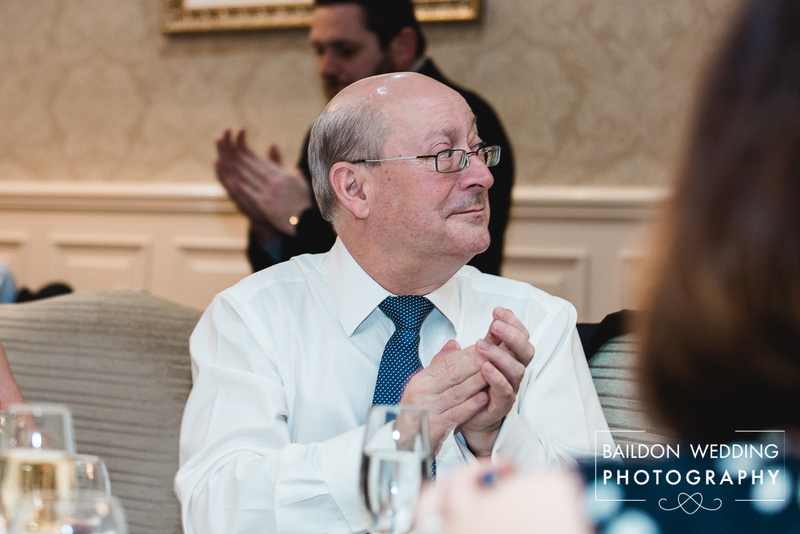 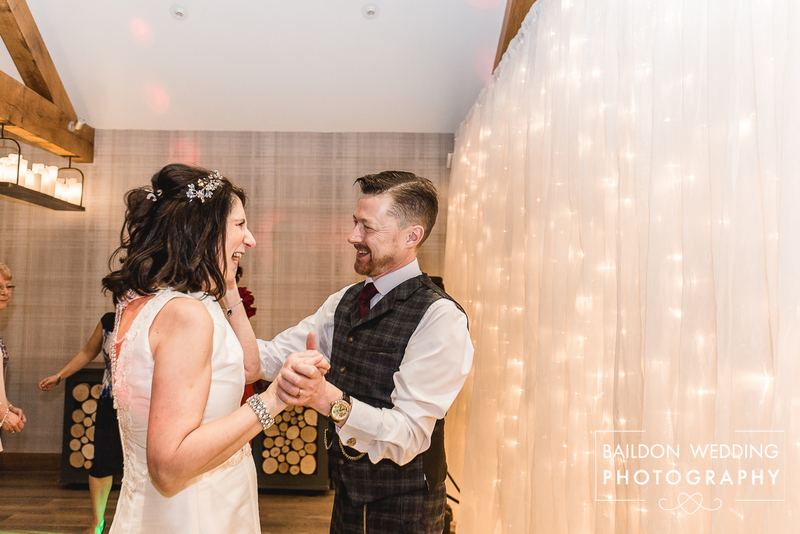 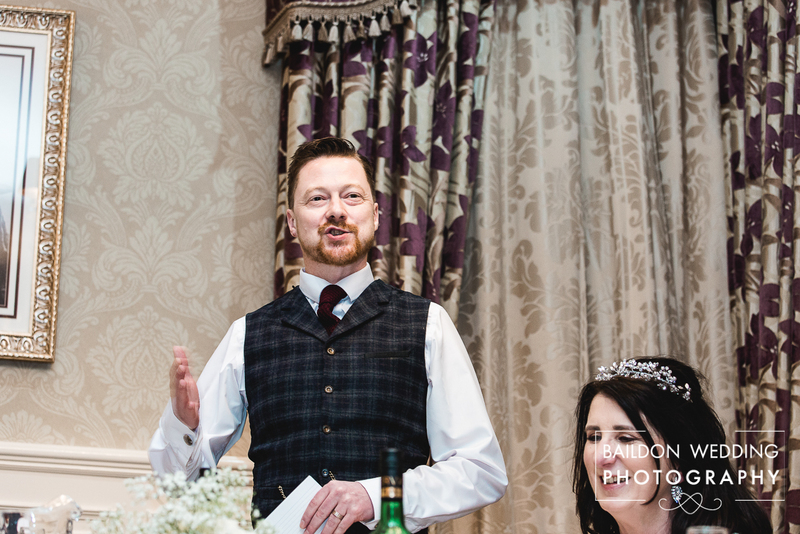 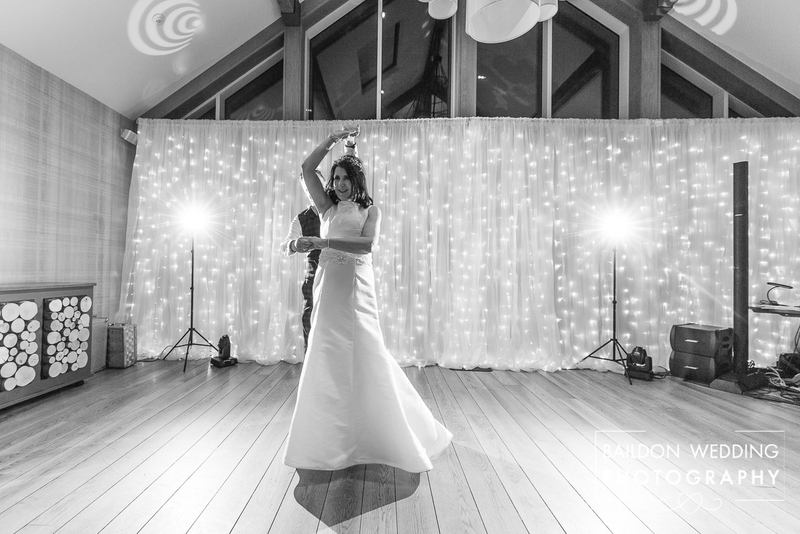 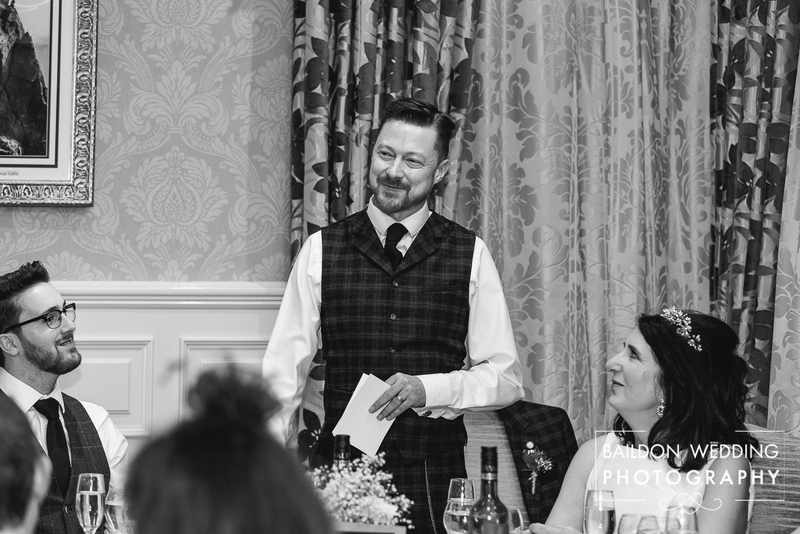 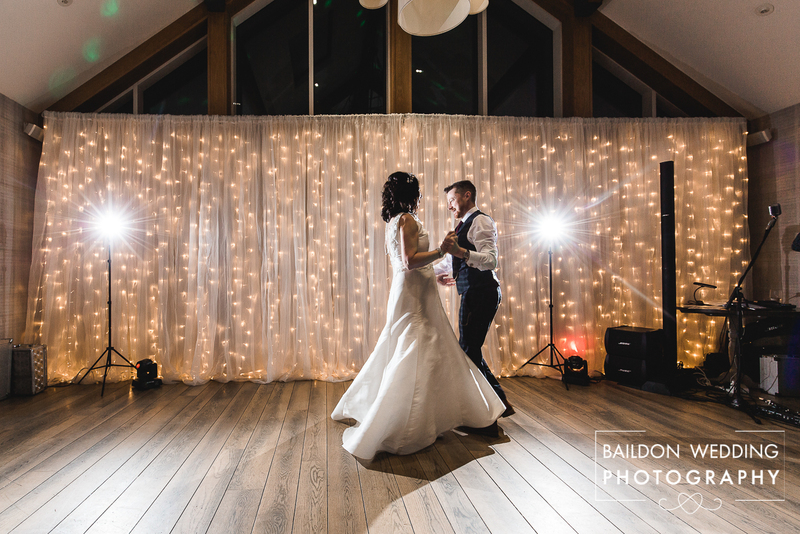 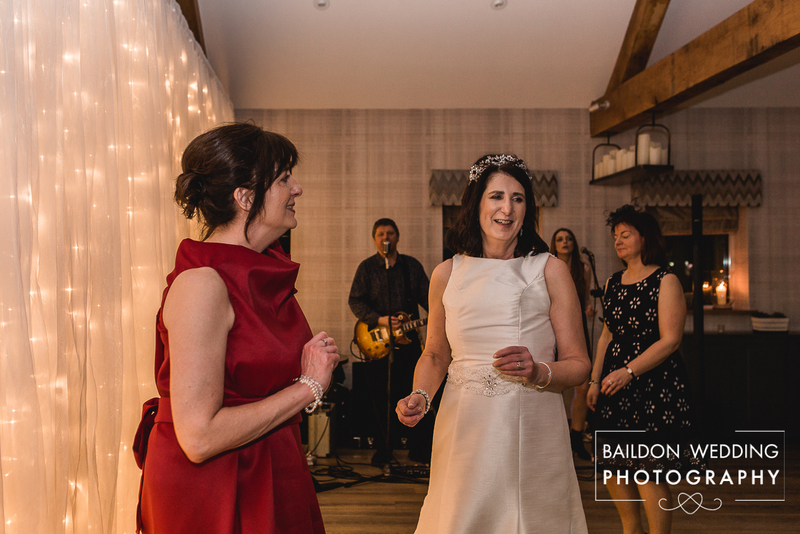 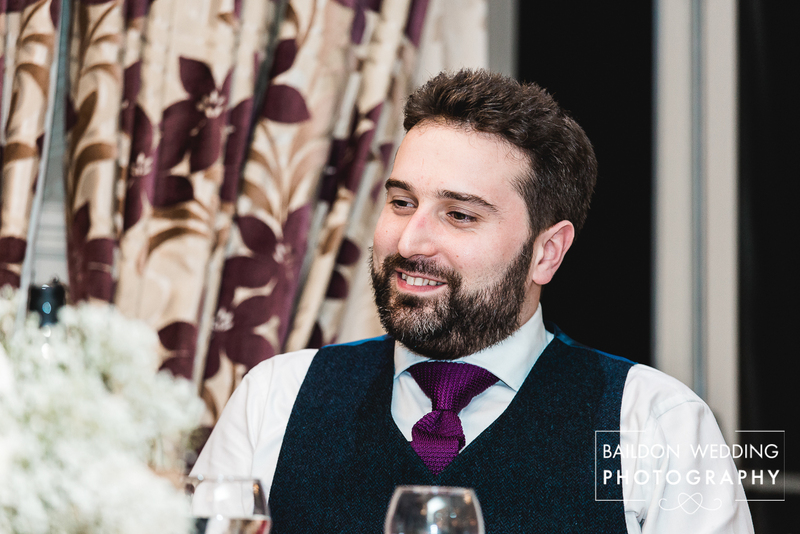 In Paul’s speech, he elaborated that he was particularly skilled at dad dancing, but had learnt a beautiful routine for the first dance as husband and wife. 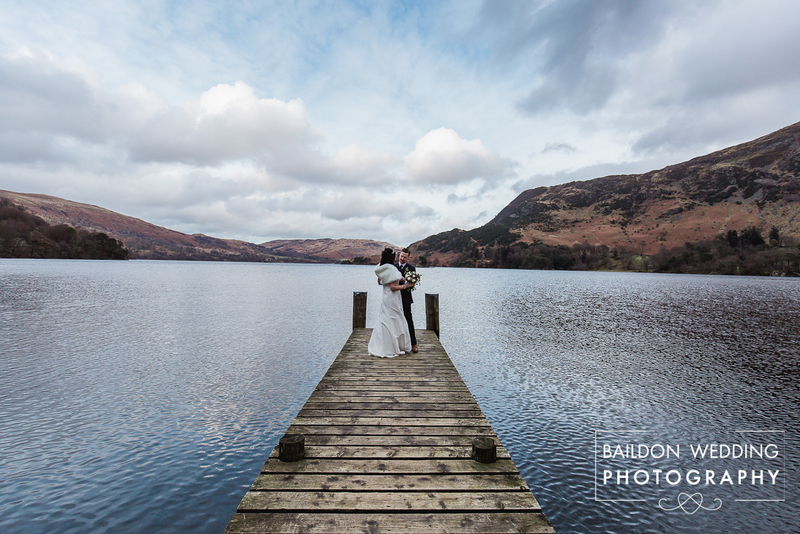 I am so happy for Catherine and Paul and wish them a lifetime of love filled adventures, thank you so much for letting me capture your Inn on the Lake wedding.